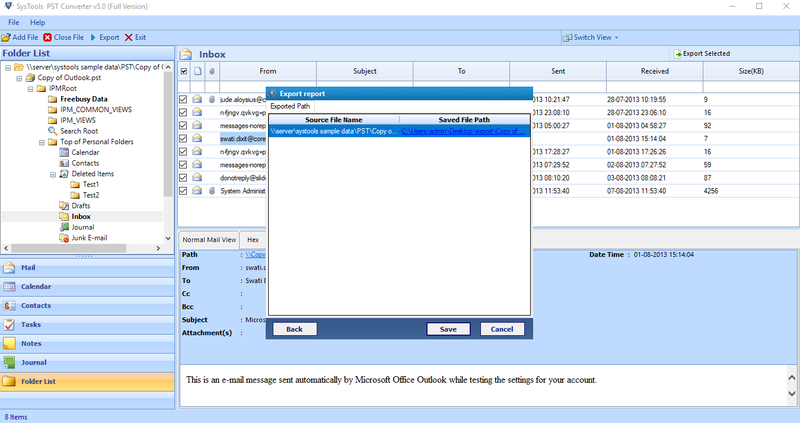 It involve very few steps to convert your Outlook data files to other email formats like EML, MSG, PDF. 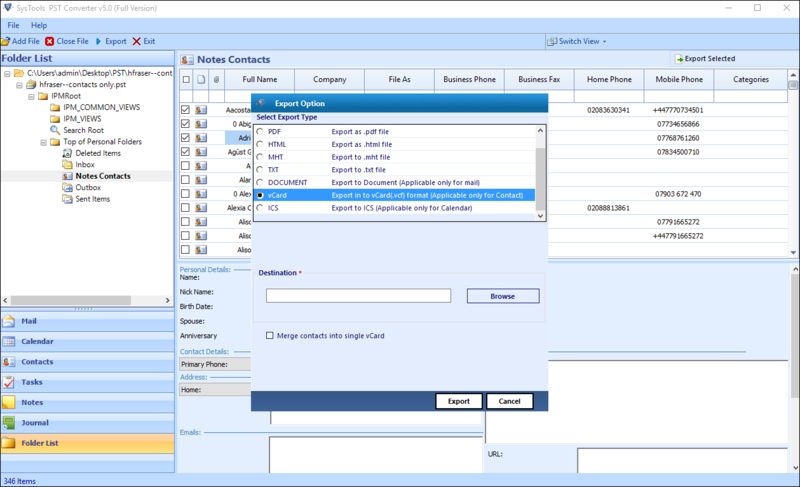 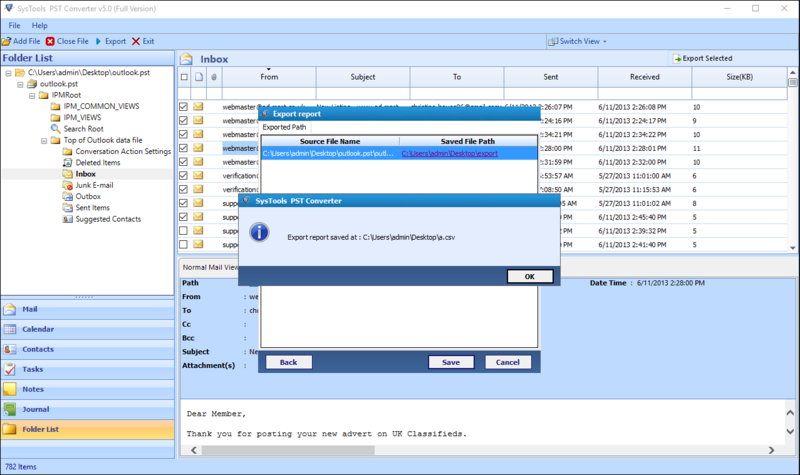 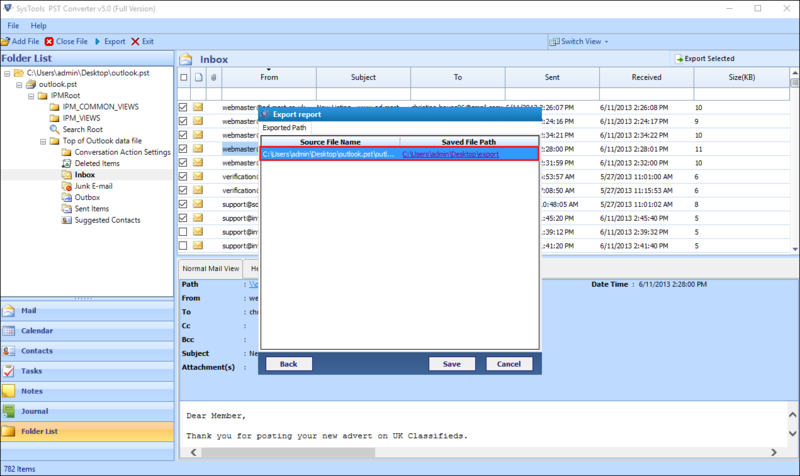 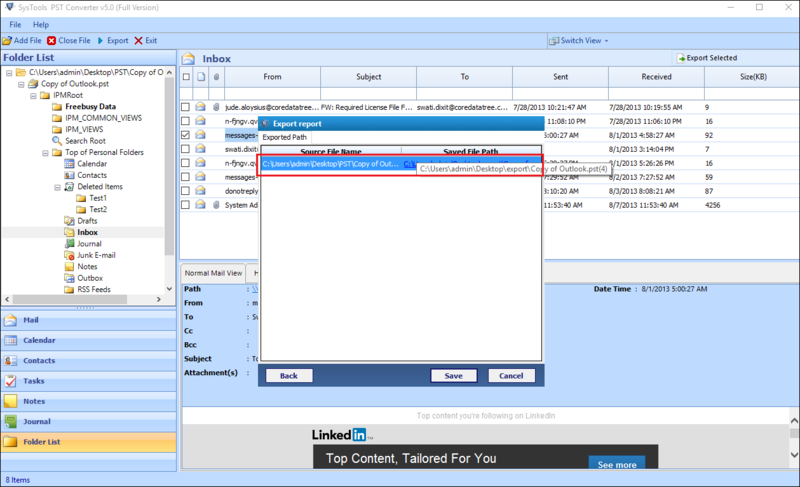 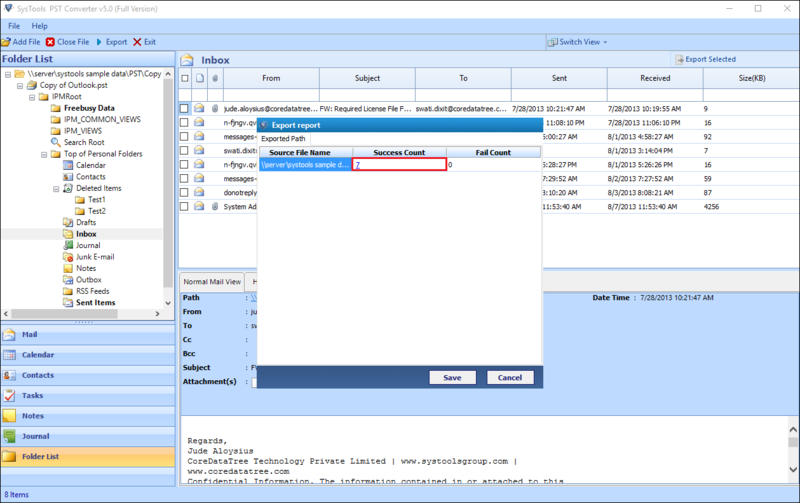 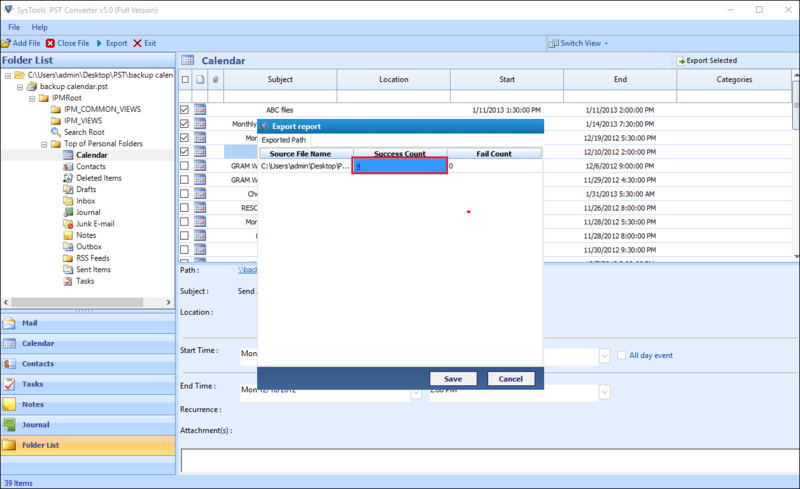 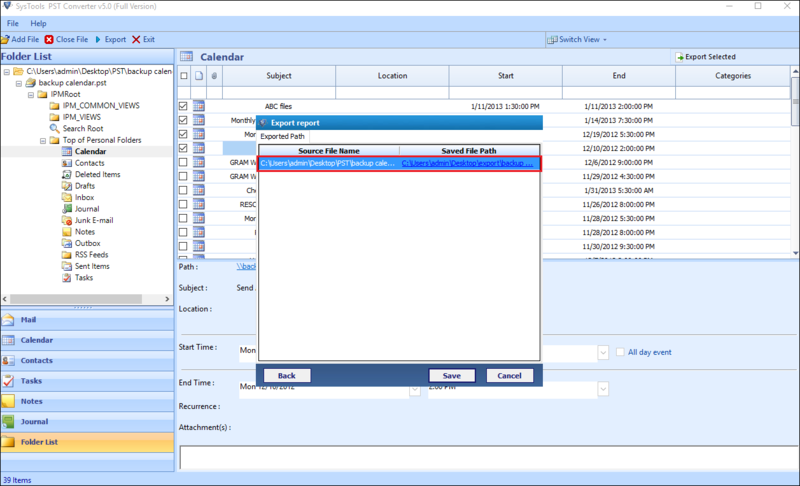 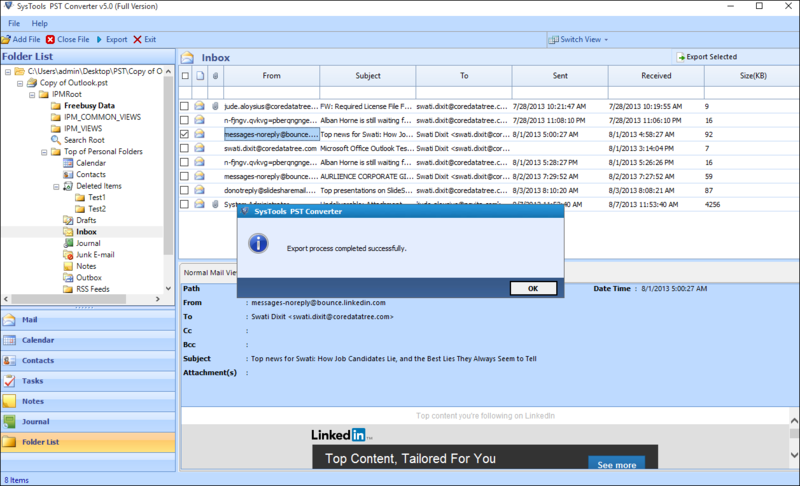 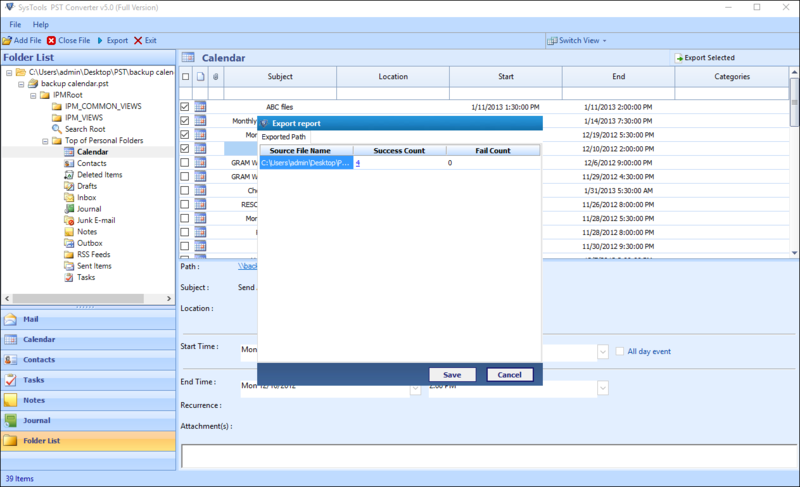 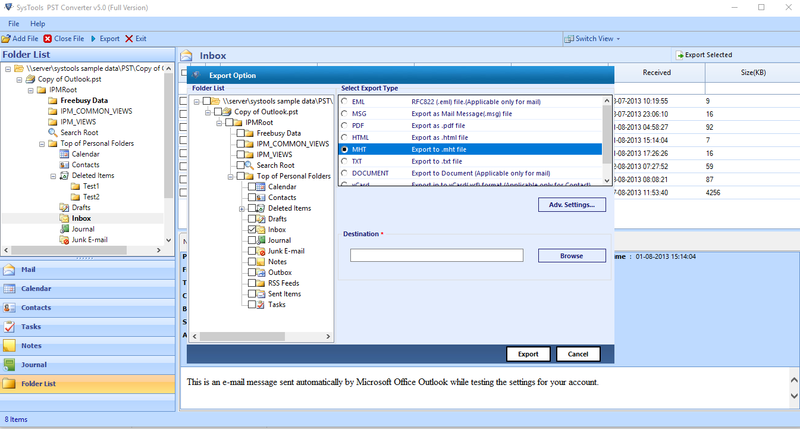 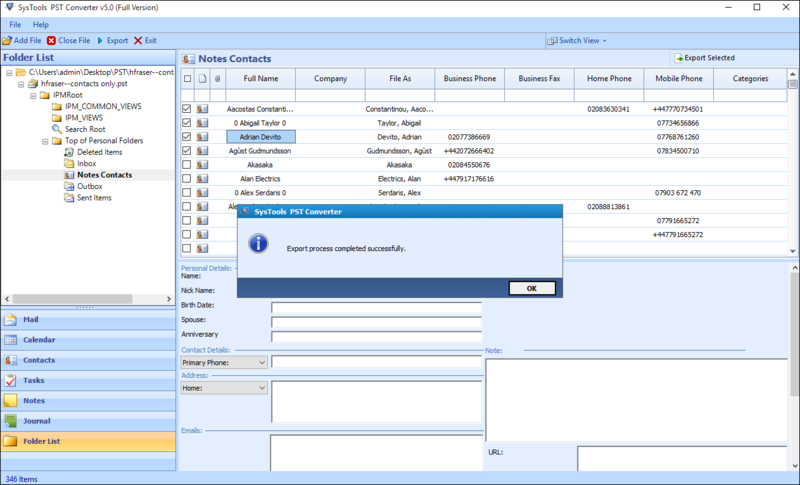 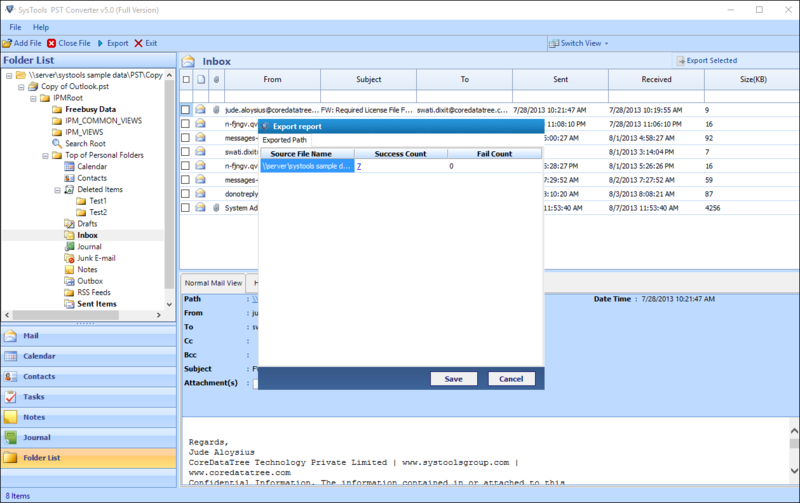 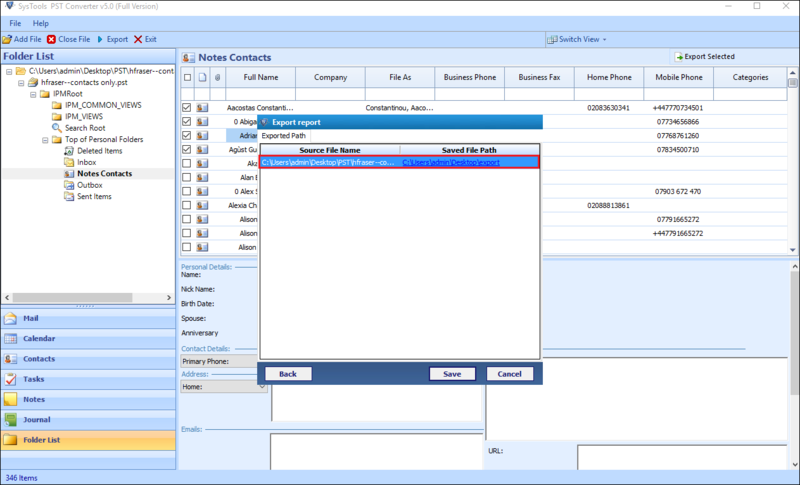 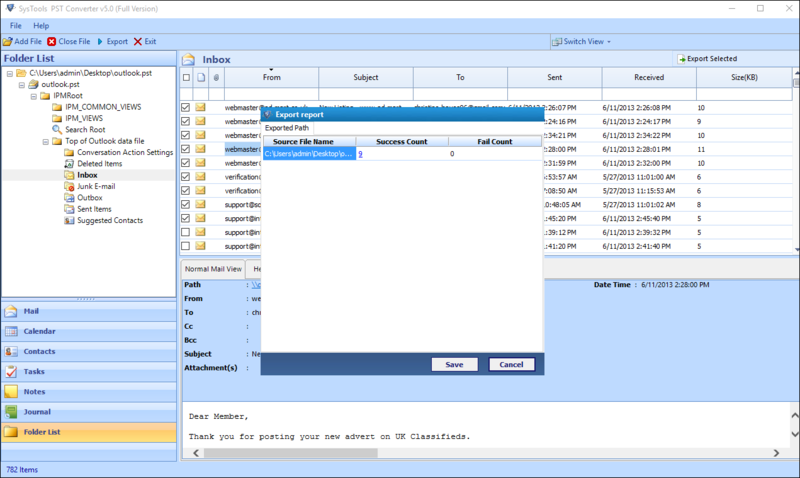 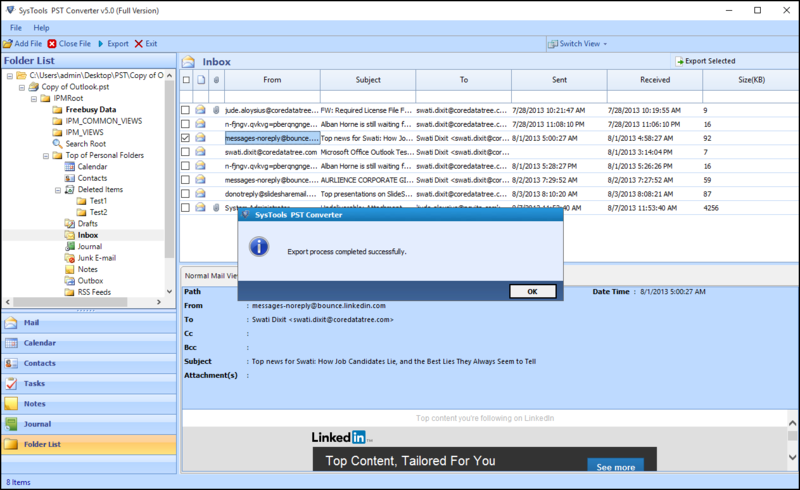 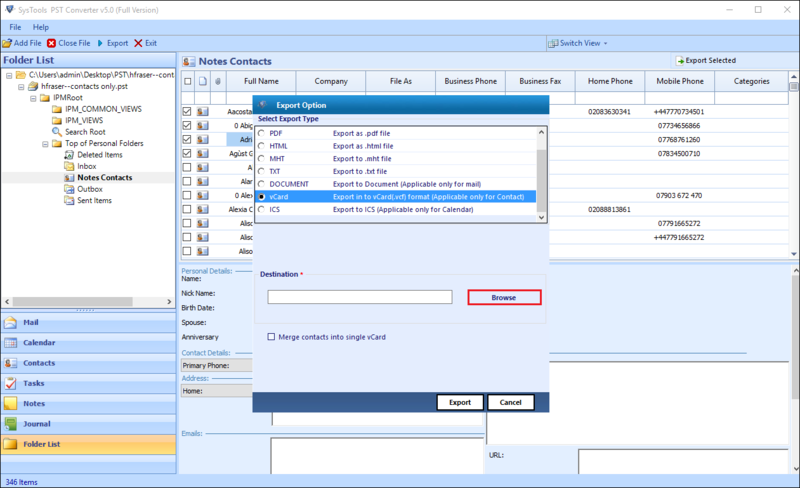 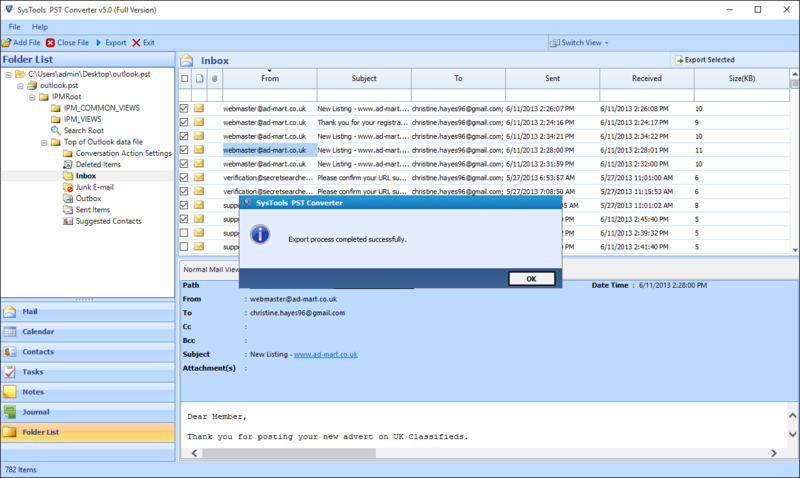 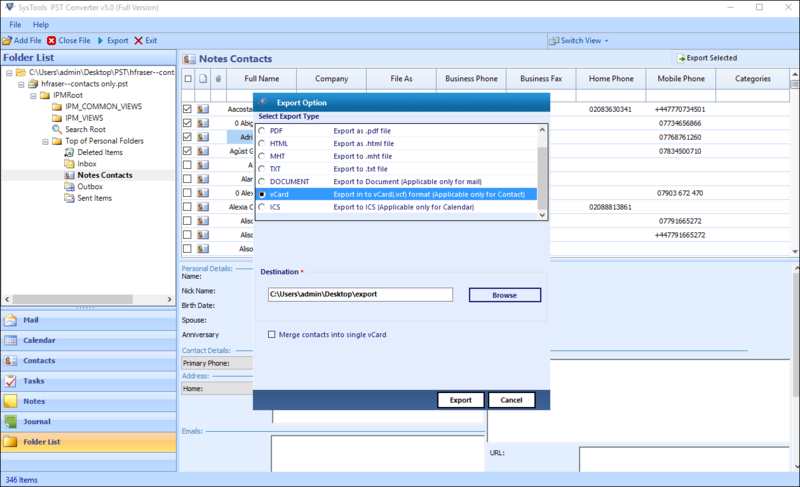 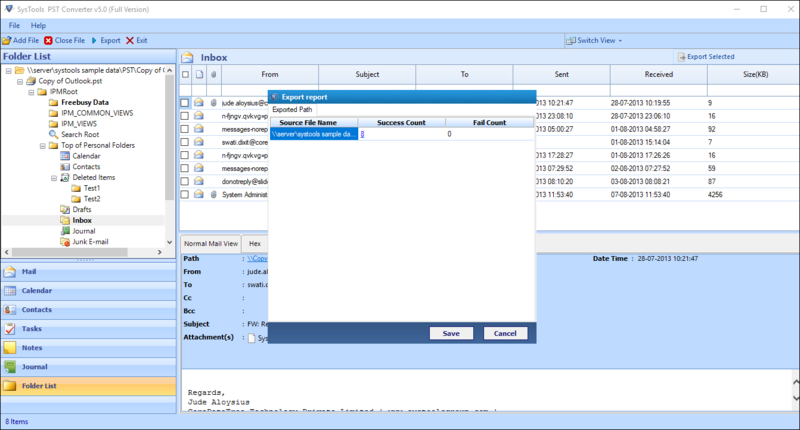 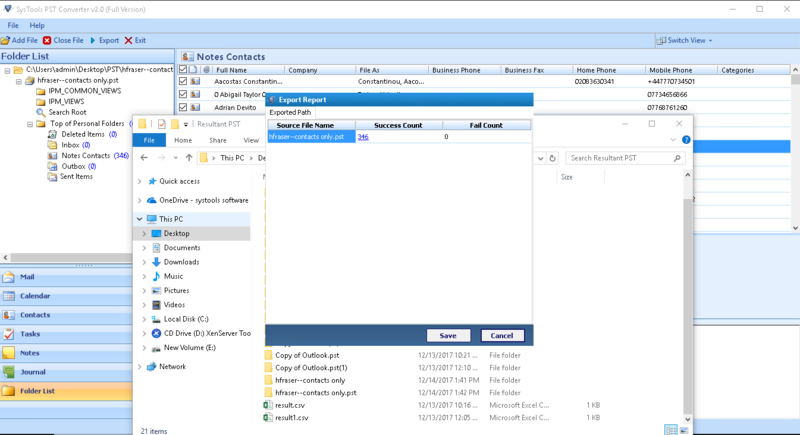 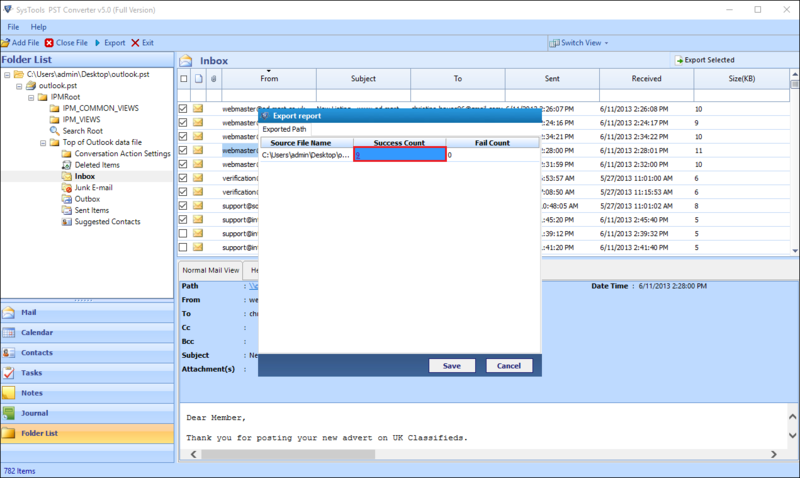 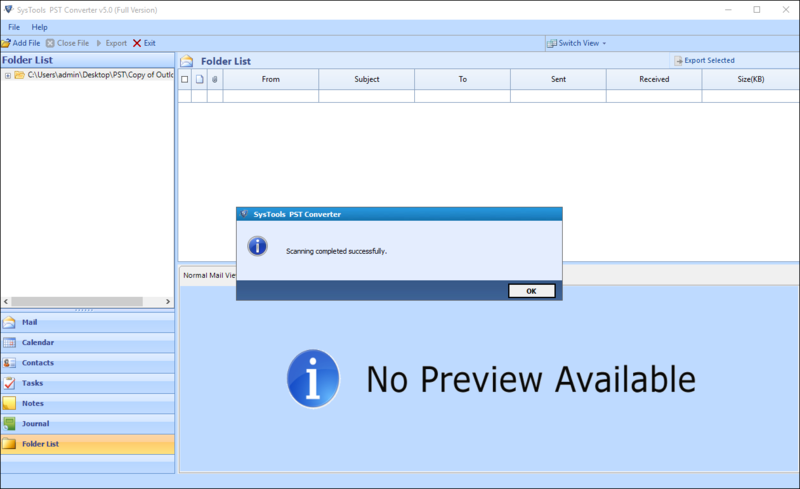 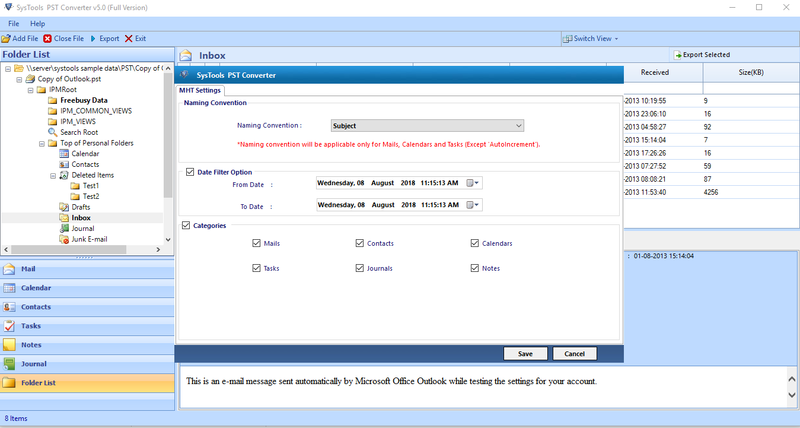 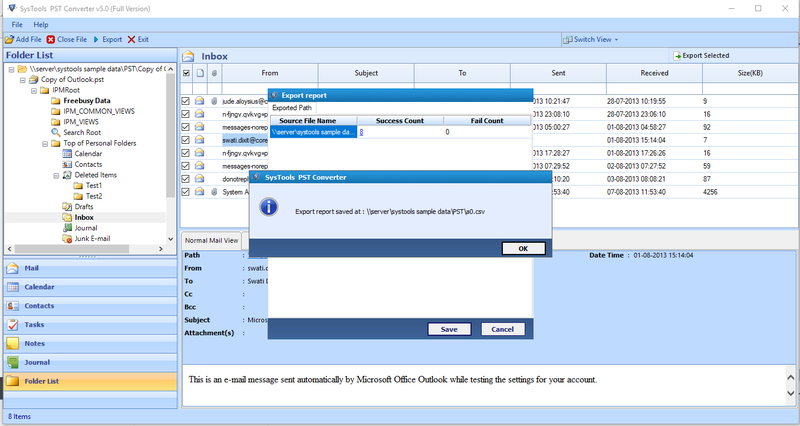 With the software to convert PST file, you will be able to export Outlook contacts to VCF separately as well. 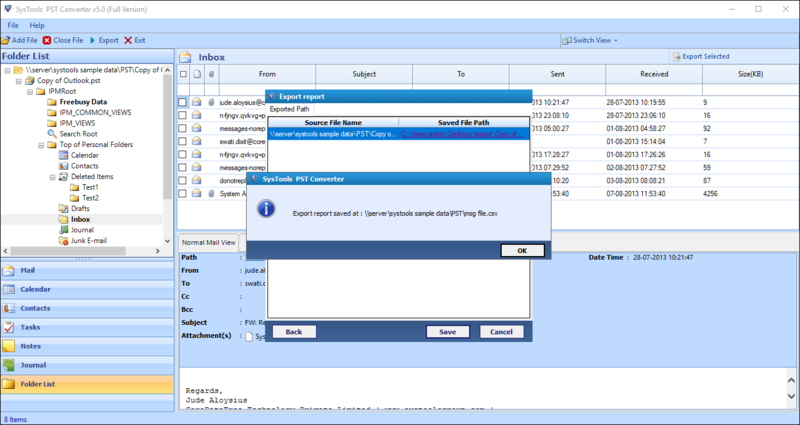 To begin using the software, first Download and Install SysTools PST Converter . 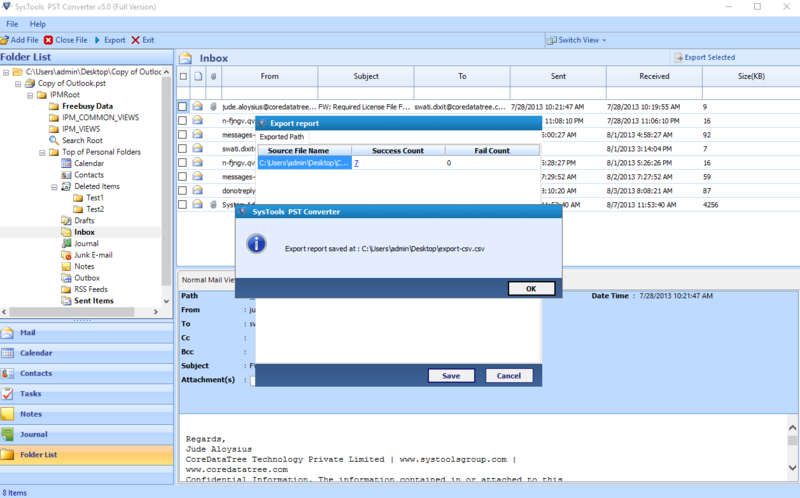 Launch SysTools PST Converter software from the installation location or Navigate to Start » All Programs » SysTools PST Converter » SysTools PST Converter to initialize the software. 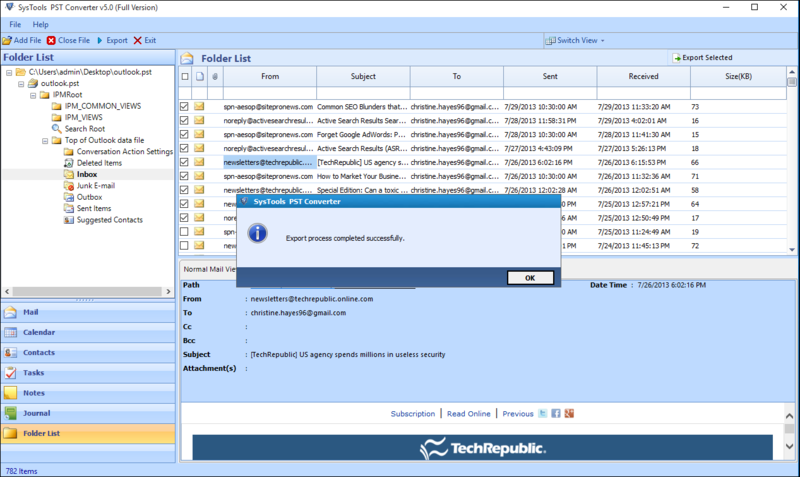 Now add the PST file by clicking on the Add File button. 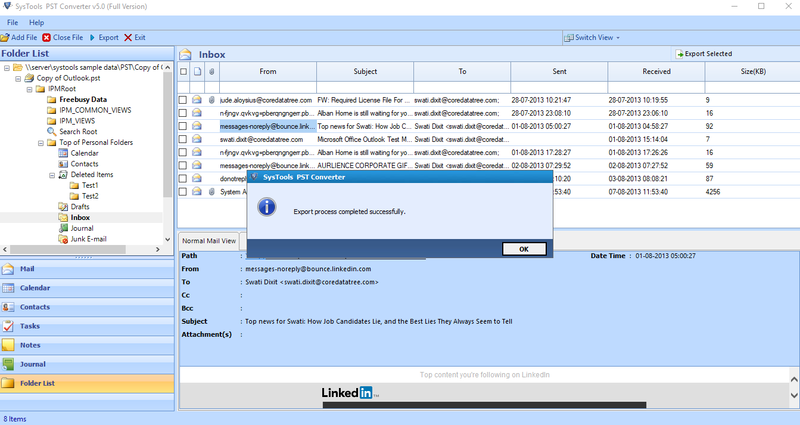 As you click on the Add File button, a small window will pop up where you have to browse the PST file location from the machine. 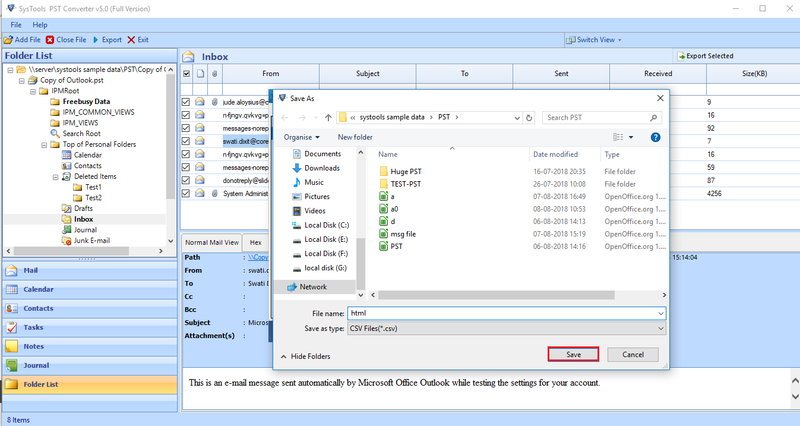 Select any one PST file from the folder & click Open to open the selected PST file. 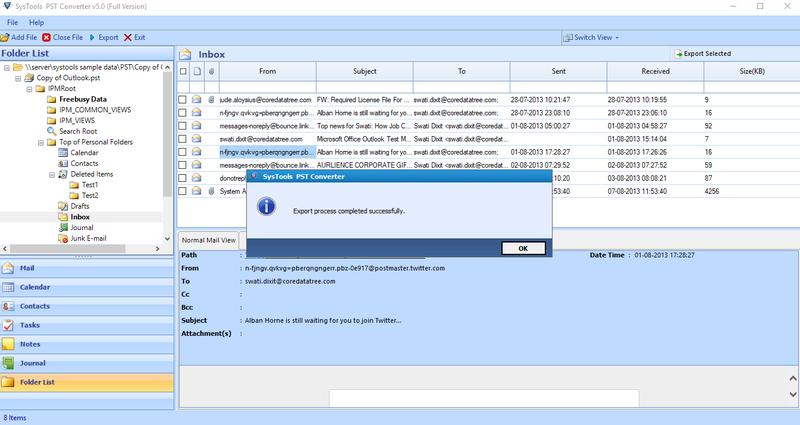 After adding PST file, the software will show its location. 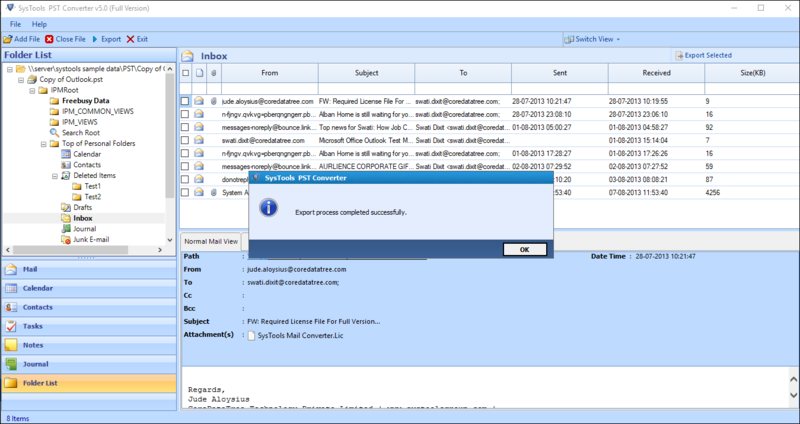 If your PST file is highly corrupt, then check the Advance Scan option. 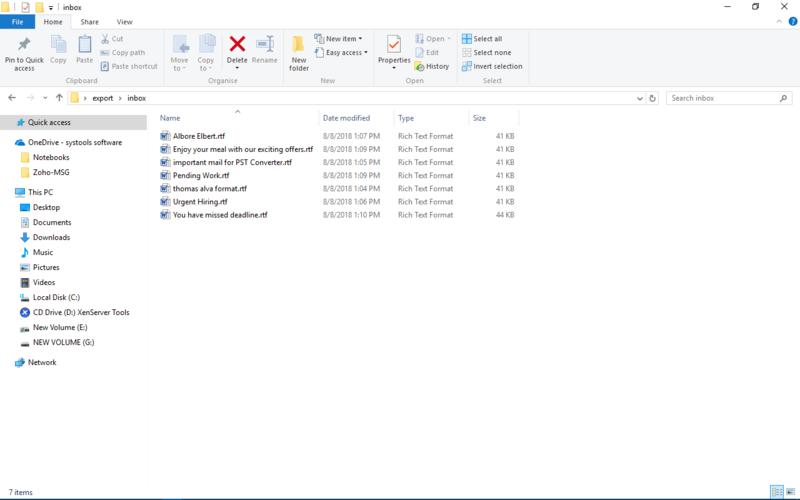 Then hit the, Add File button. 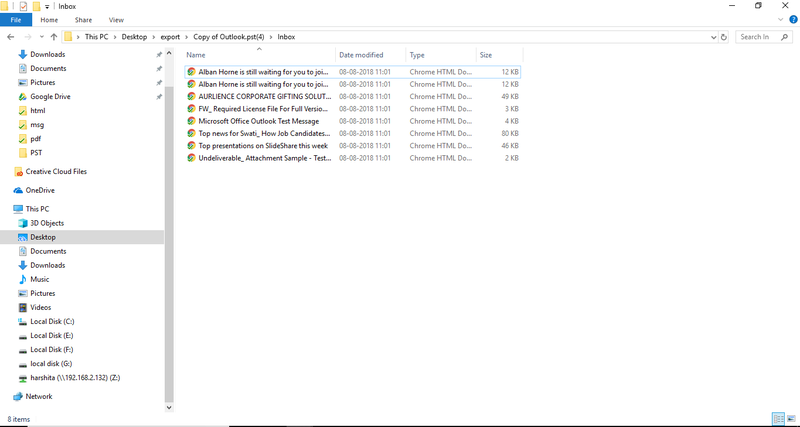 The following screen will appear while the file is being scanned. 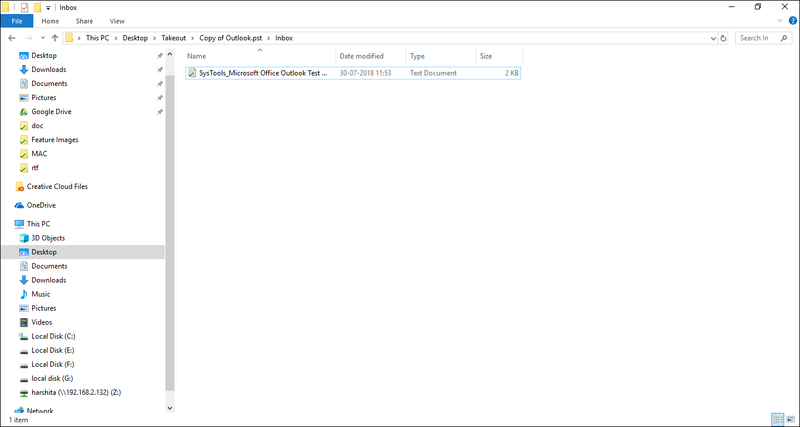 You can see details like: name of file being scanned, its overall size in KB, & the file creation date. 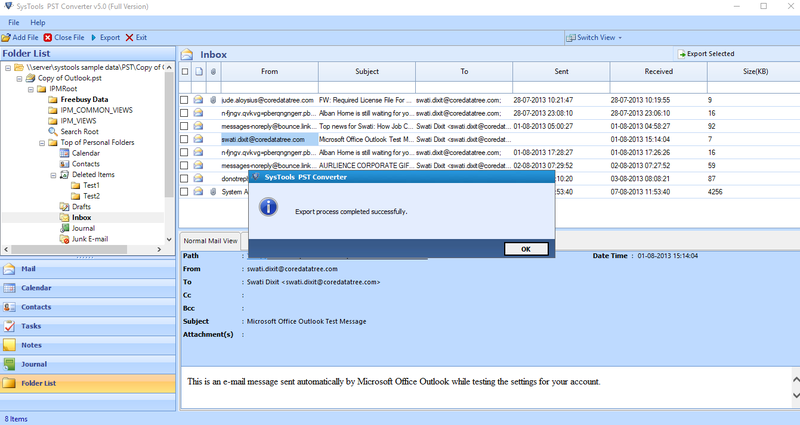 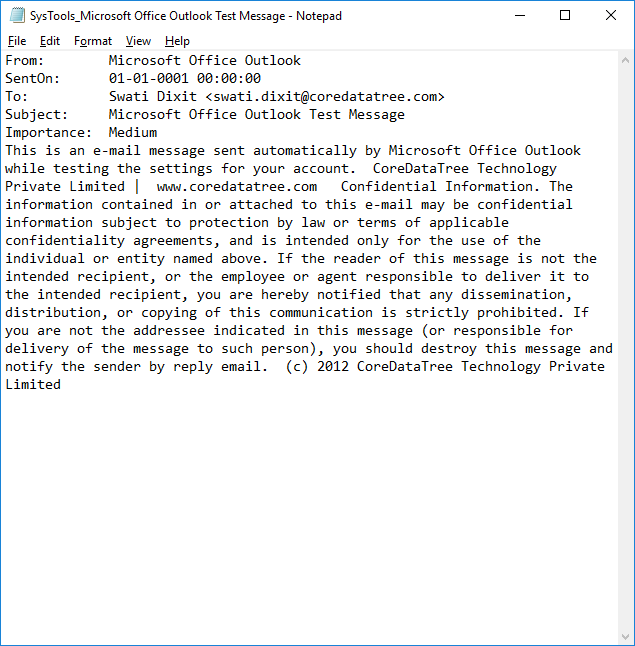 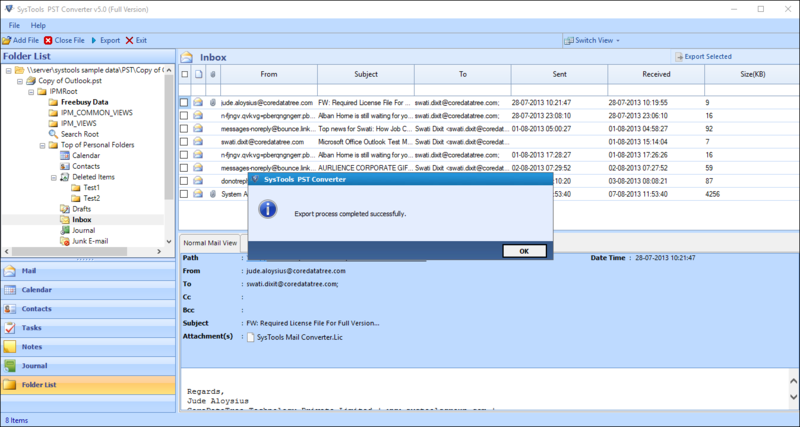 Now, the software loads the complete PST file and generates a preview of the emails in it. 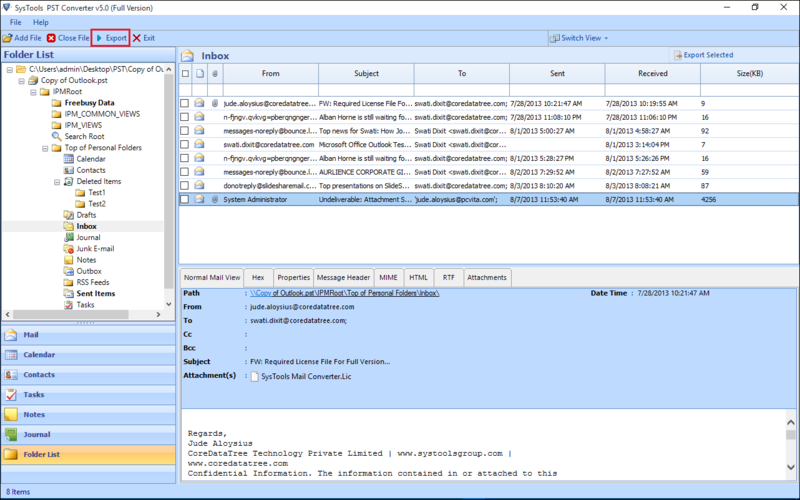 Users can view the loaded emails in different ways like: Normal Mail View, Hex View, Properties View, Message Header View, MIME View, Email Hop View, HTML View, RTF View, Attachments & Hierarchical View. 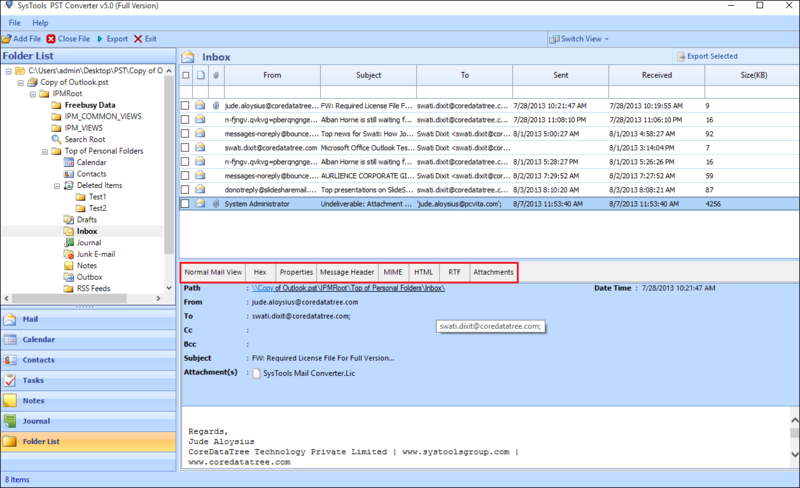 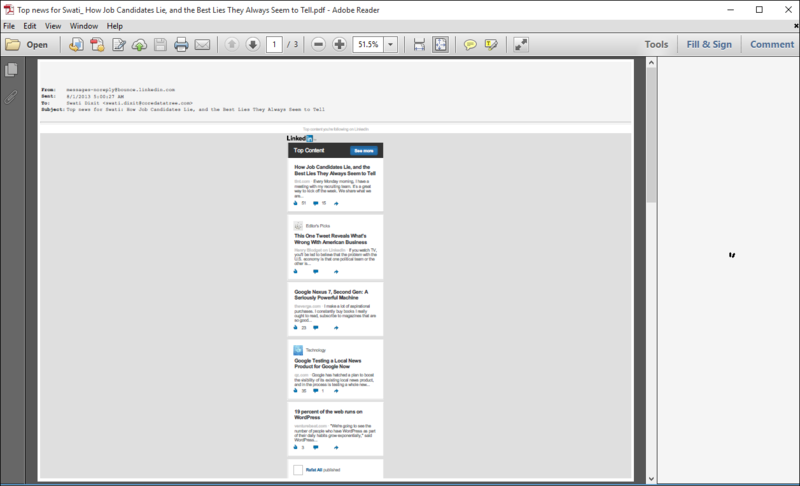 Click on "Normal Mail View" tab to preview the email body. 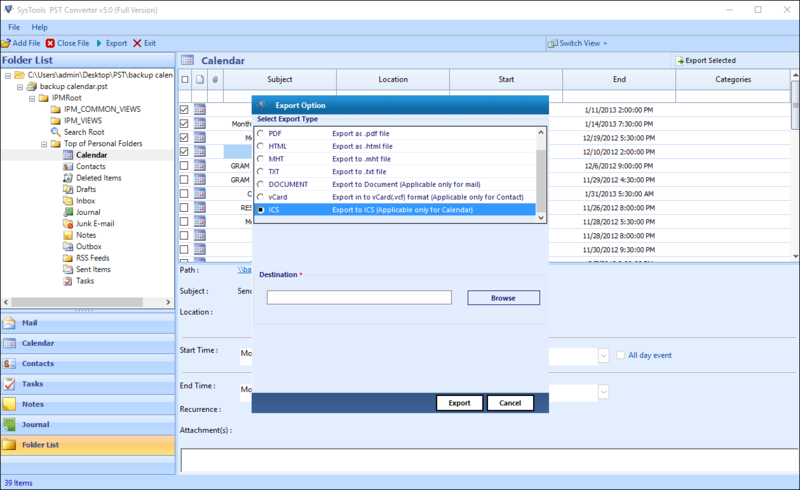 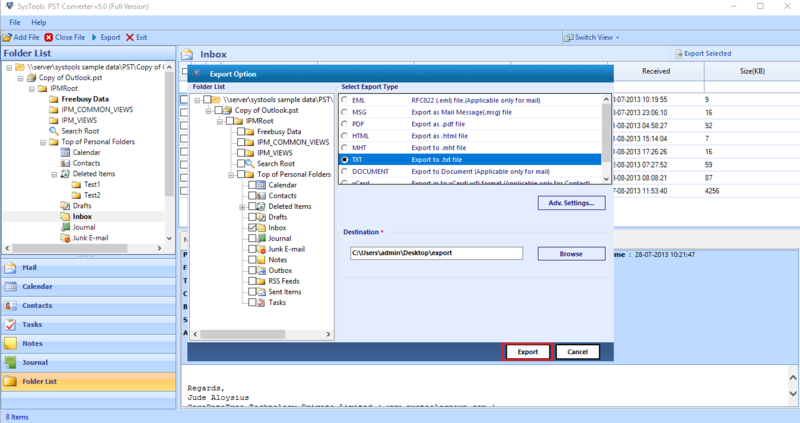 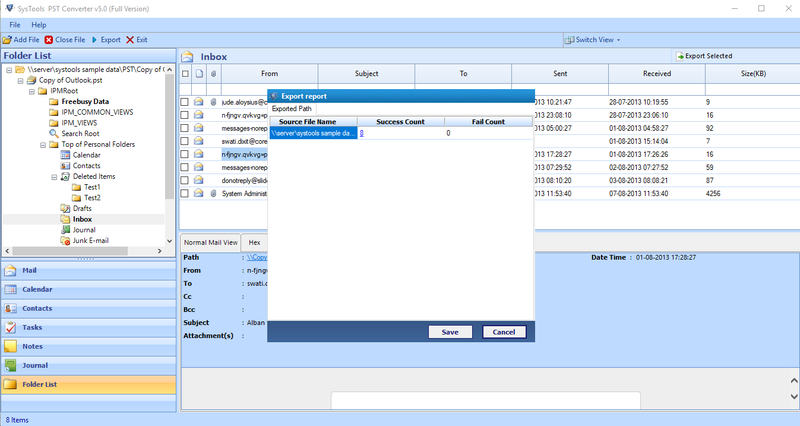 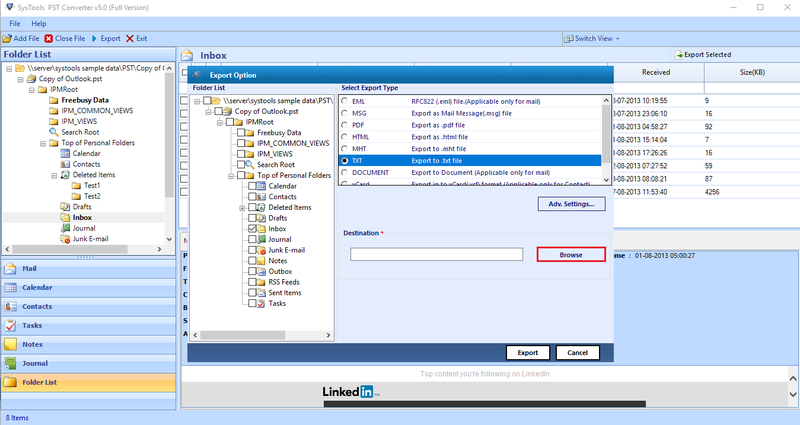 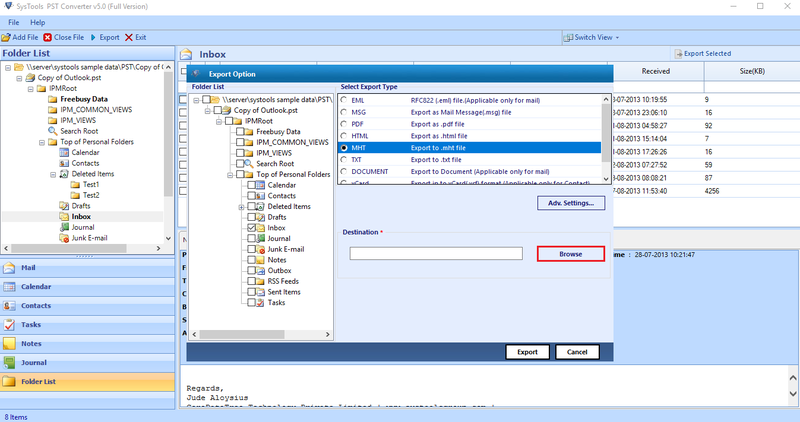 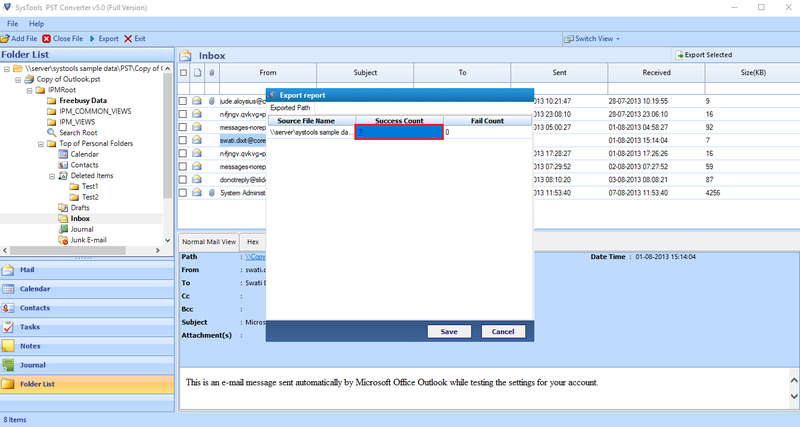 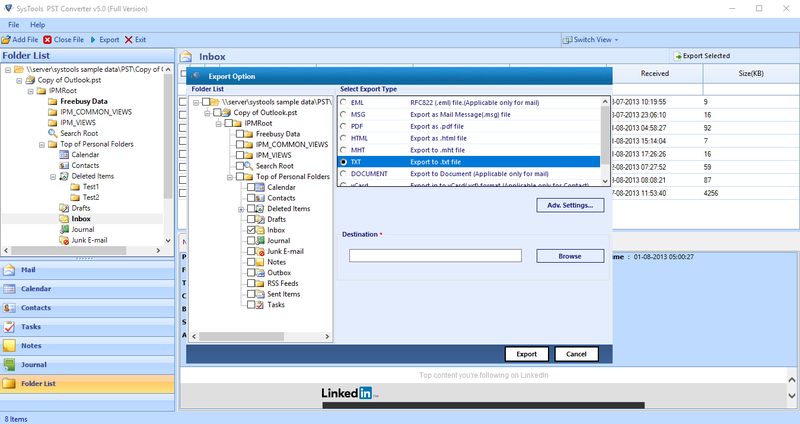 To export selected emails, simply select the emails, right click on it, and select Export to export the selected items. If you want to convert PST files in EML format then select the radio button corresponding to EML label. 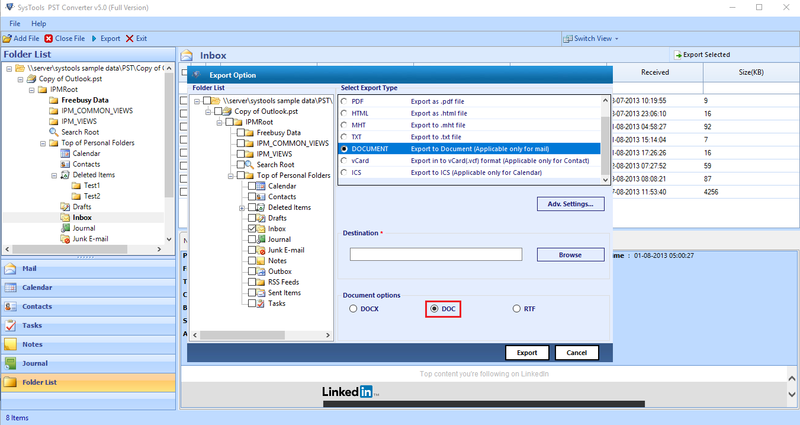 Date filter: This is the filter that can be used to filter out the final EML files as per the date filter. 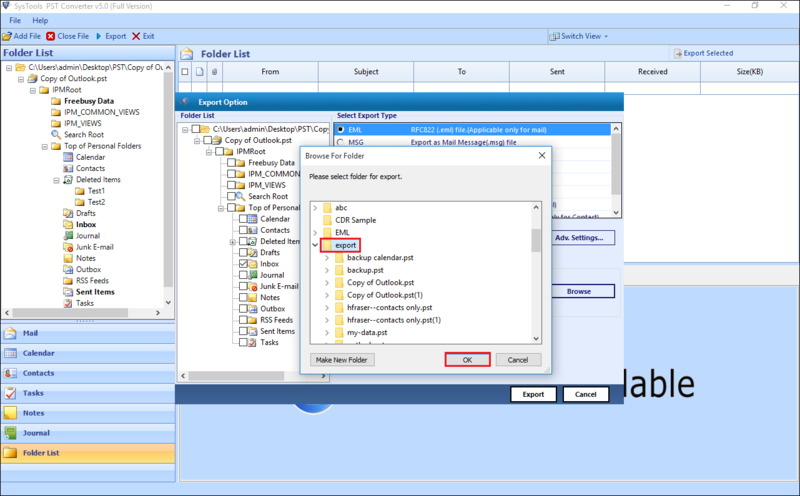 Maintain Folder Hierarchy: The folder structure of the EML files is kept intact. 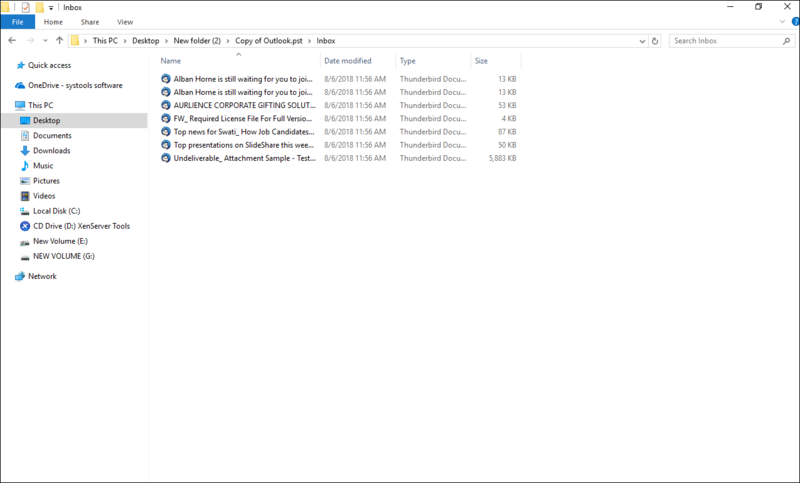 Naming Convention: This refers to the naming of the final converted files such as by Subject+Date, From+Subject+Date, Autoincrement, etc. Click on the "Browse" button to select the final destination for the exported EML files. 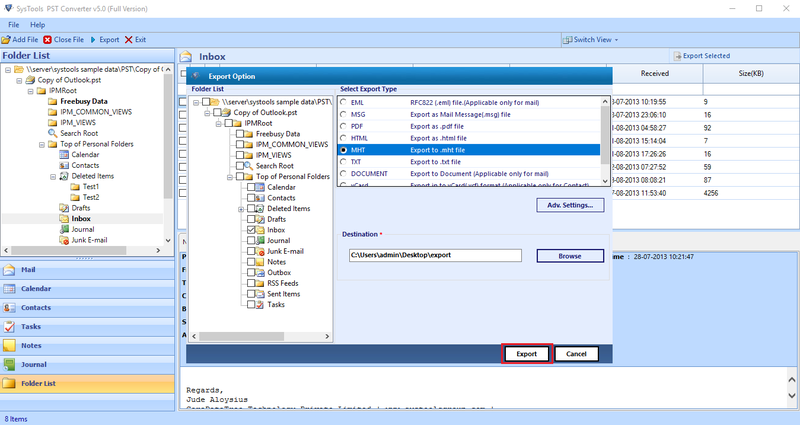 The destination path will be shown as follows and now click on the"OK" button to start the processing. 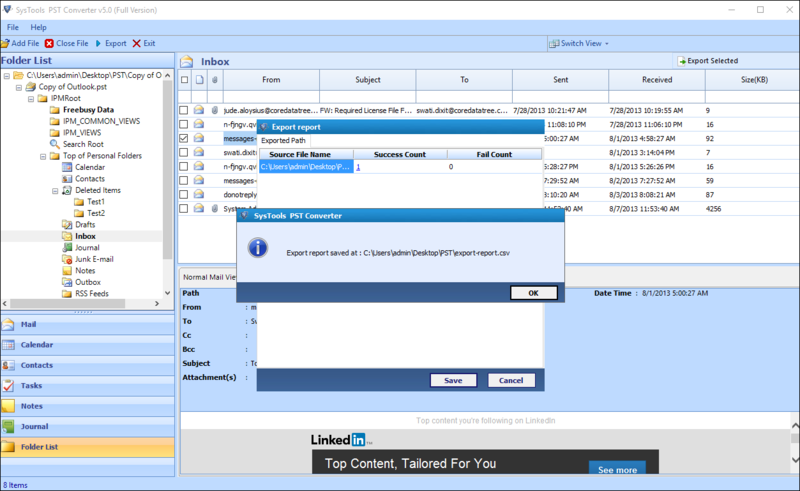 Click "Export" once the processing is done to export PST to EML. 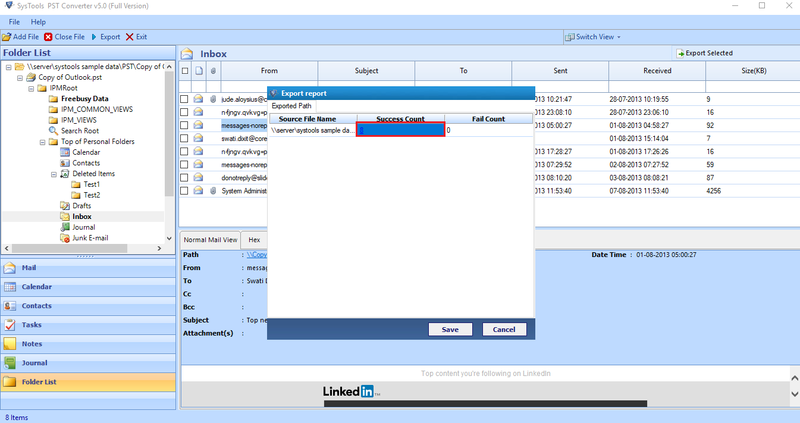 Click on the number of the Success Count to view the saved file path. 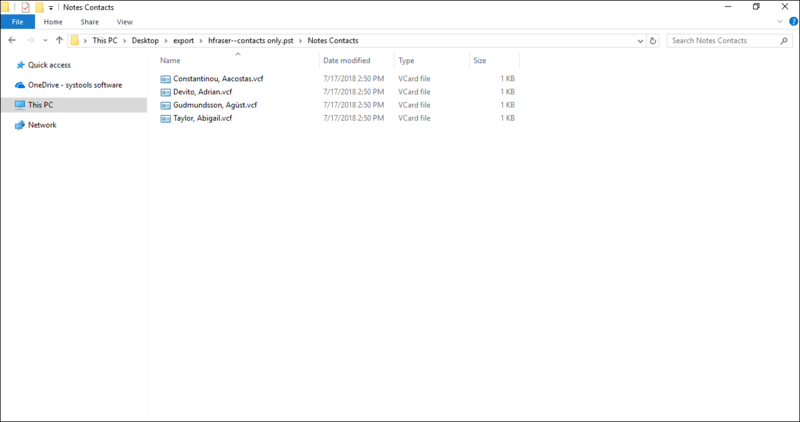 You can also click on the path of the saved file to view the files at the destination location. 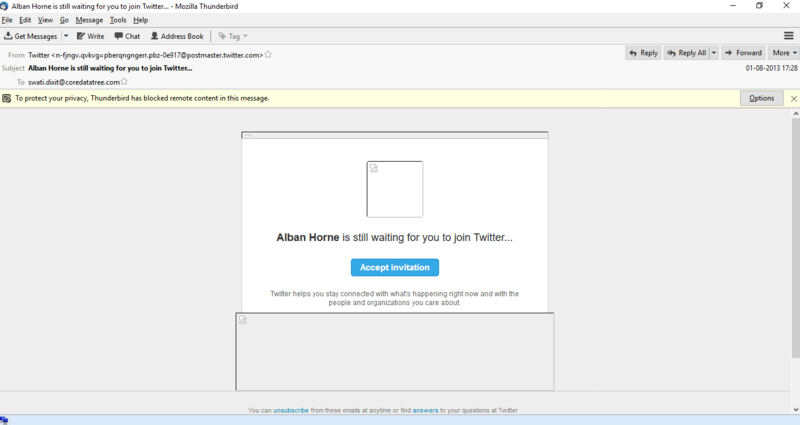 Click on the "individual mail" to open the mail with Thunderbird. 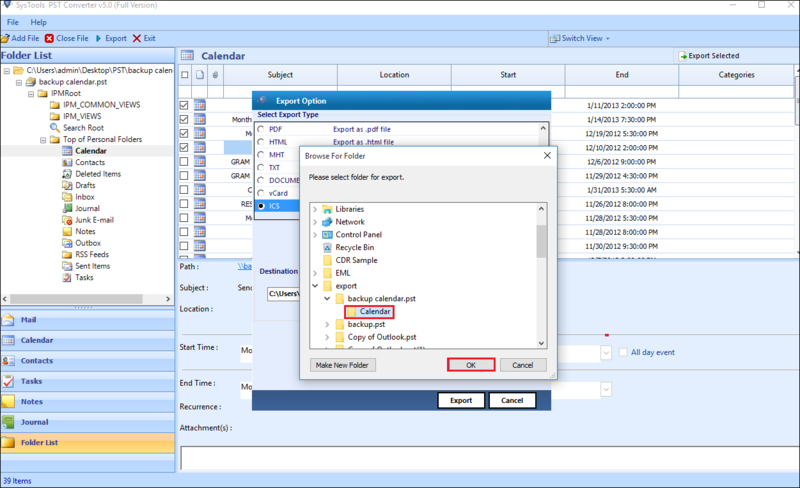 You can also save the Export Report at any location of your choice by clicking the Save option. 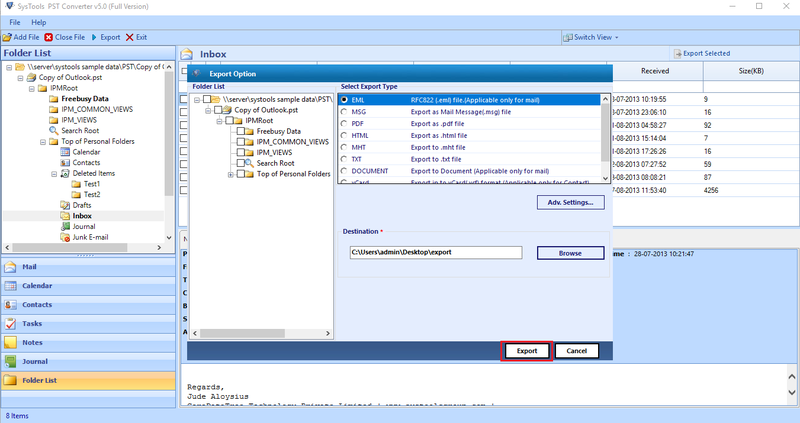 After saving the report, a message will display showing the location of the report. 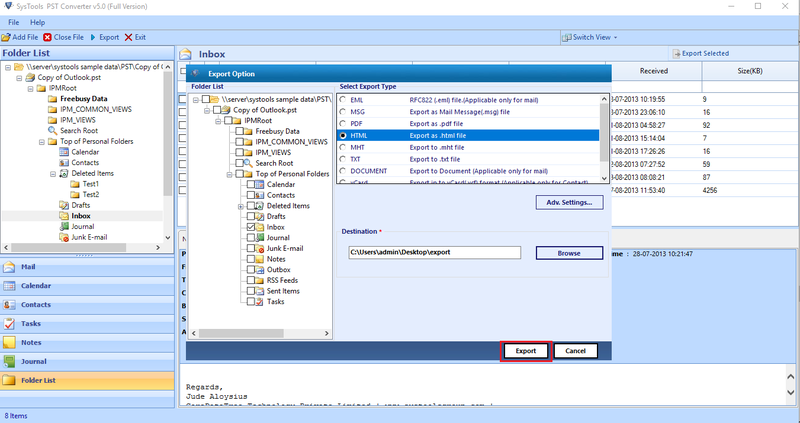 If you want to convert PST files in MSG format then select the radio button corresponding to MSG label. 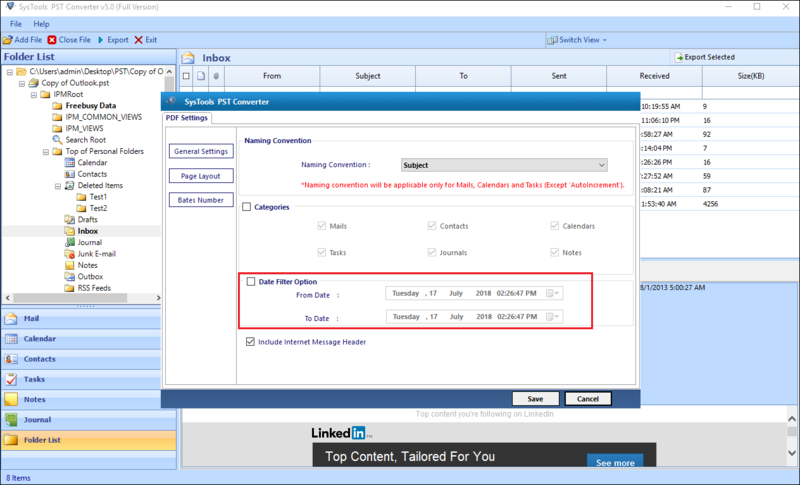 Date filter: This is the filter that can be used to filter out the final MSG files as per the date filter. 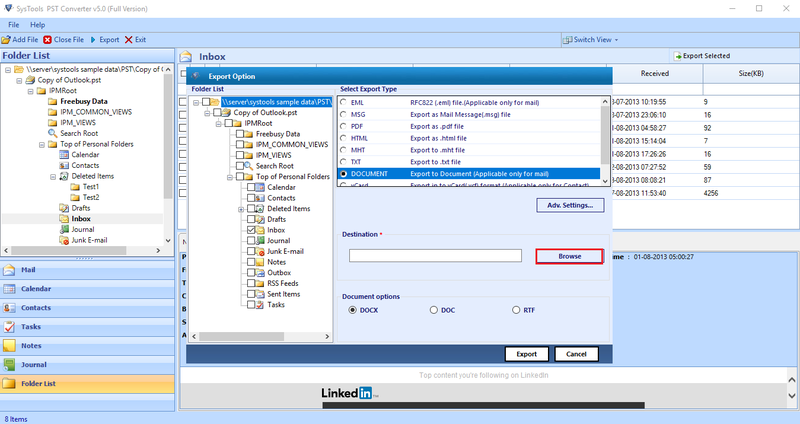 Maintain Folder Hierarchy: The folder structure of the MSG files is kept intact. 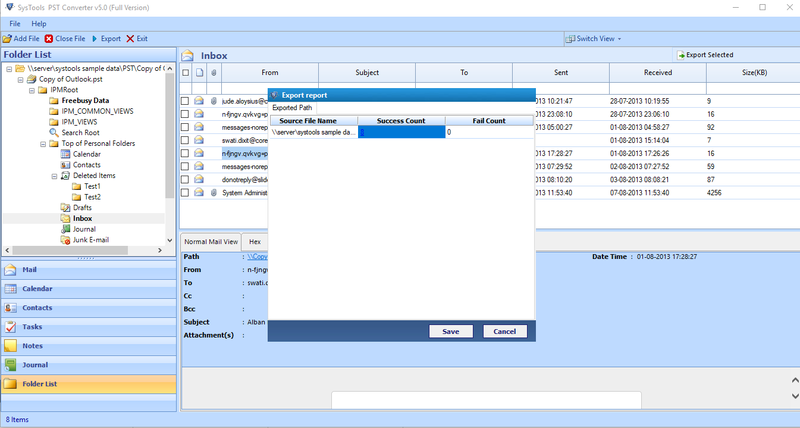 Click on the "Browse" button to select the final destination for the resultant MSG files. The destination path will be shown as follows. 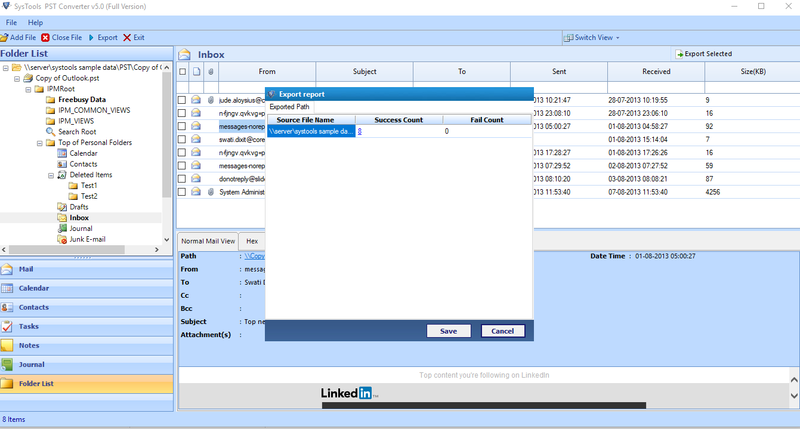 Now click on the"Export" button to start the processing. 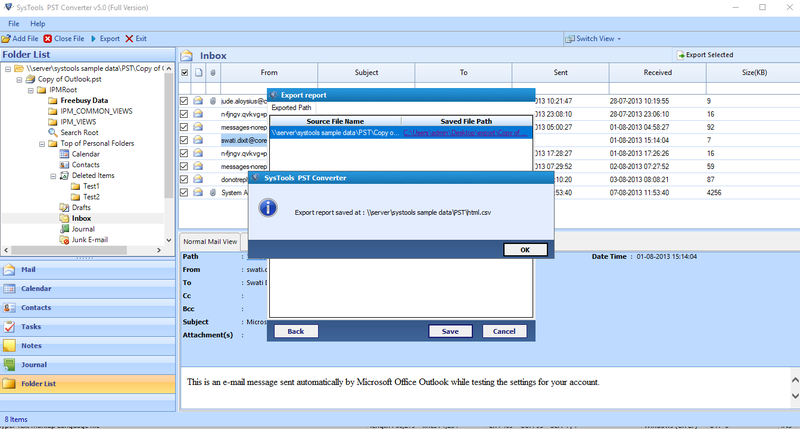 Click "OK" once the processing is done to view the export report. 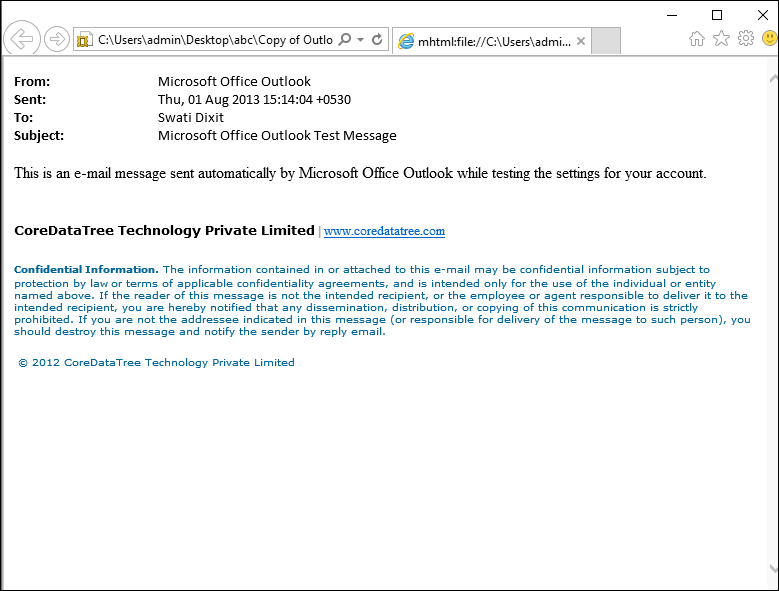 Click on the "individual mail" to open the mail with Outlook. 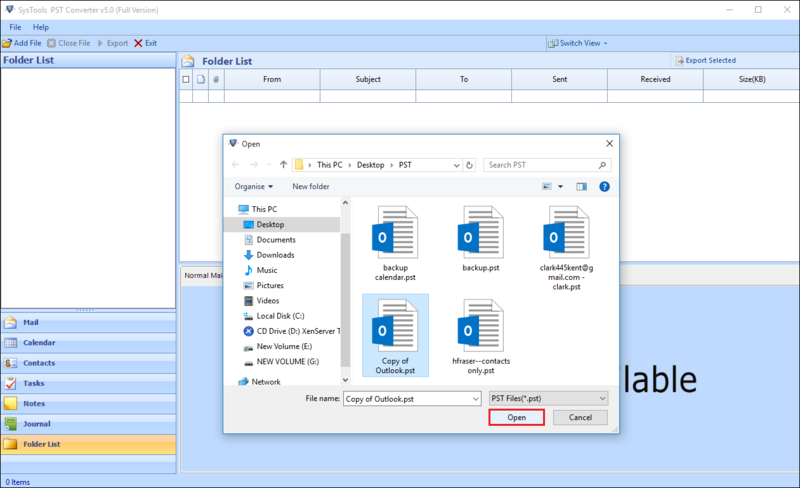 Now, Select PDF radio button to export PST files into PDF format. 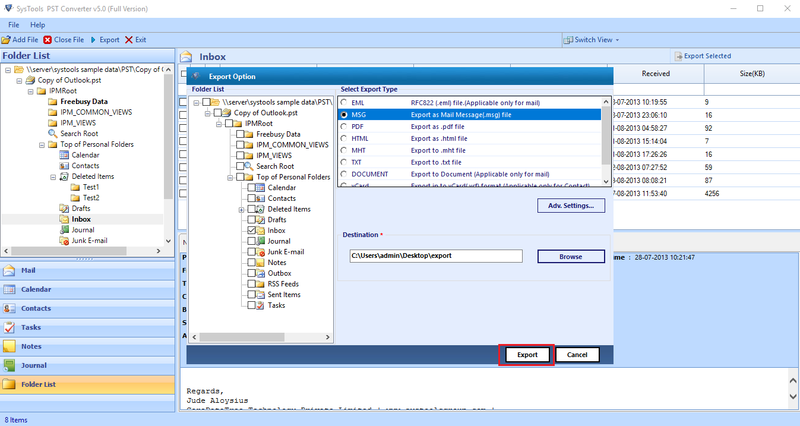 Click on the "Browse" button to select the final destination for the resultant PDF files. 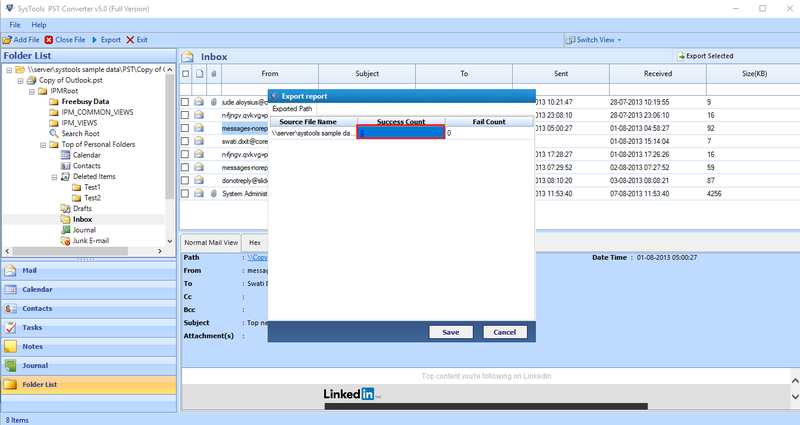 The destination path will be shown as follows and now click on the"Export" button to start the processing. 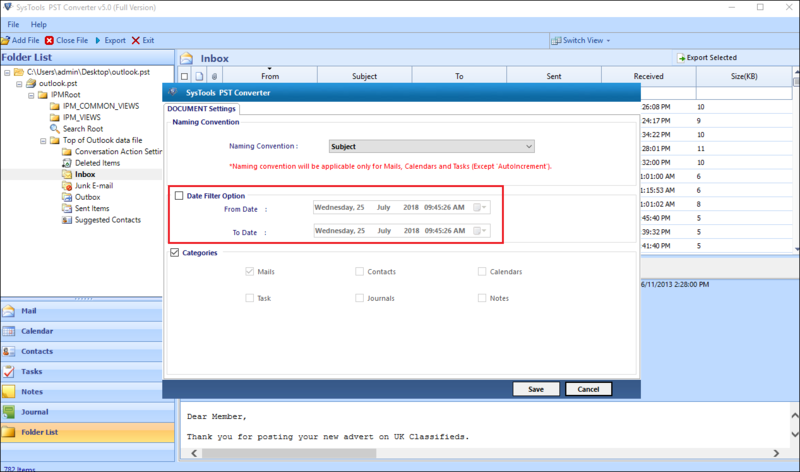 If you want to convert PST files in HTML format then select the radio button corresponding to HTML label. 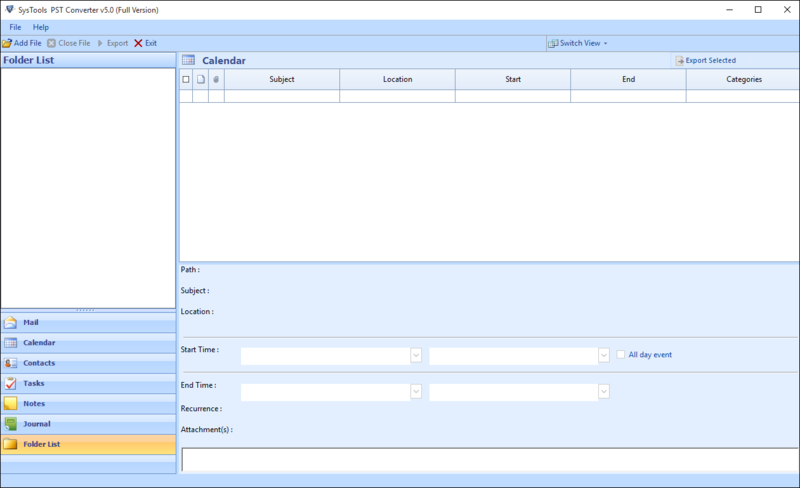 Date filter: This is the filter that can be used to filter out the final HTML files as per the date filter. 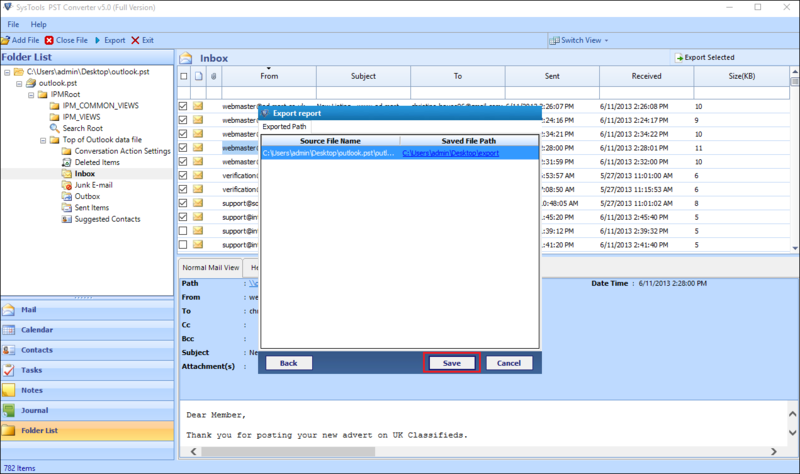 Maintain Folder Hierarchy: The folder structure of the HTML files is kept intact. 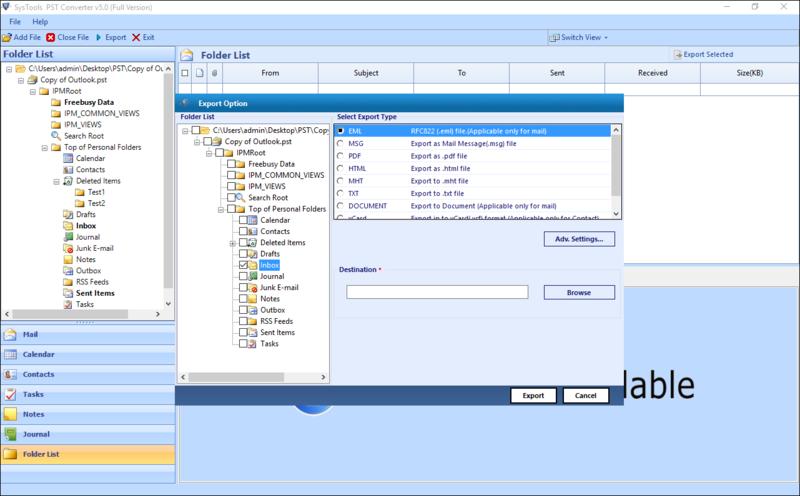 Click on the "Browse" button to select the final destination for the exported HTML files. Click "Export" once the processing is done to export PST to HTML. 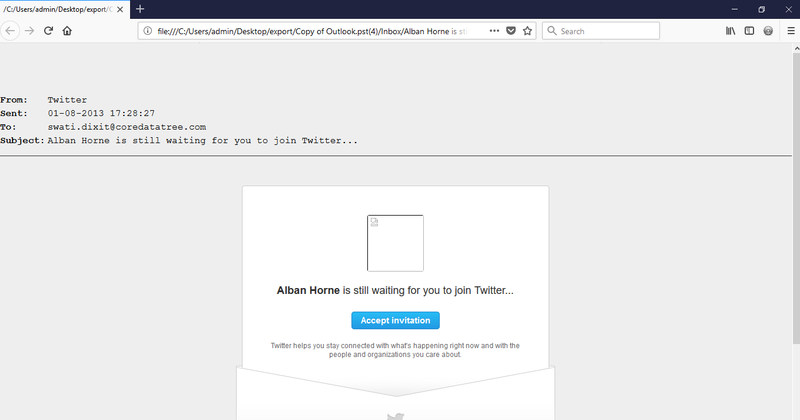 Click on the "individual mail" to open the mail with any browser. 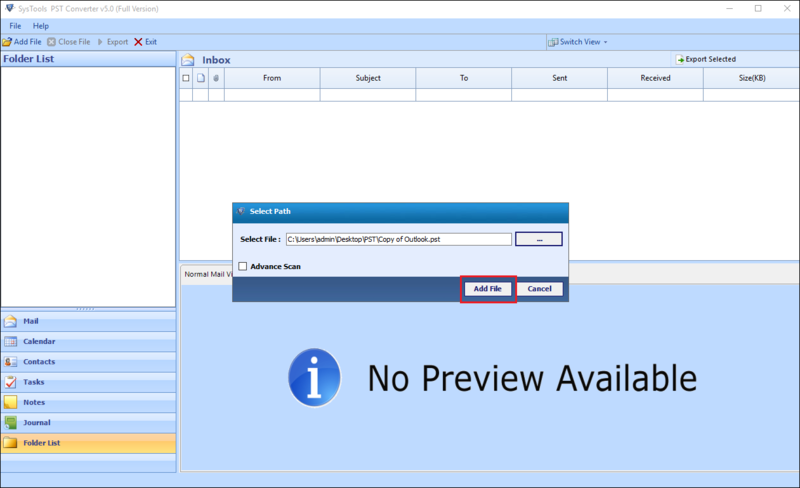 If you want to convert PST files in MHT format then select the radio button corresponding to MHT label. 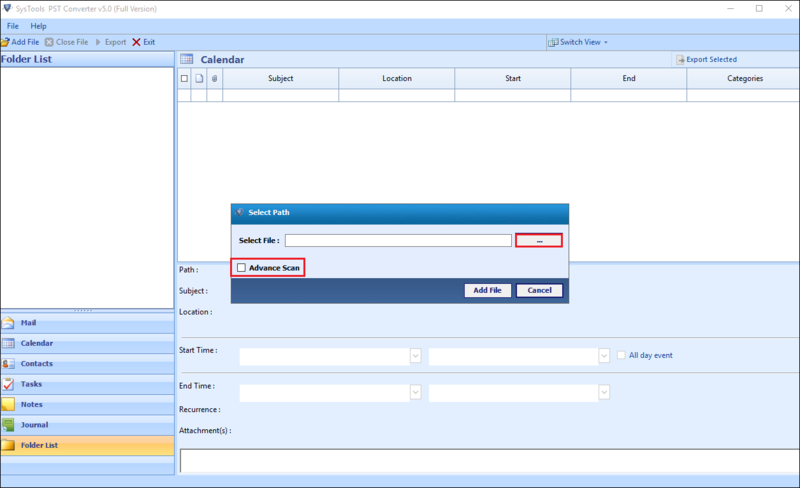 Date filter: This is the filter that can be used to filter out the final MHT files as per the date filter. 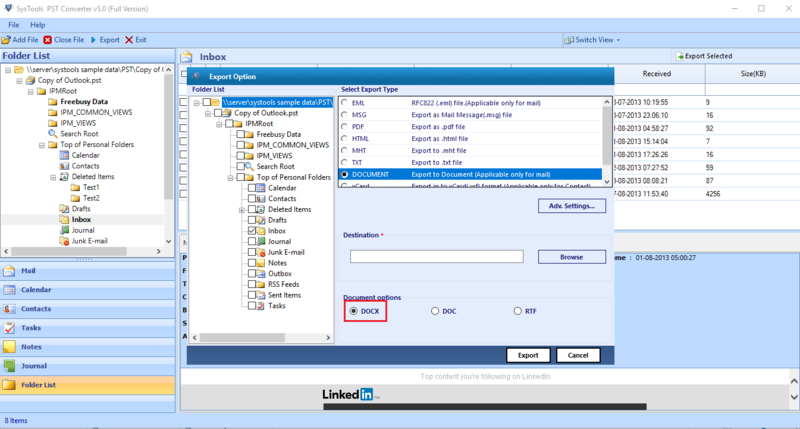 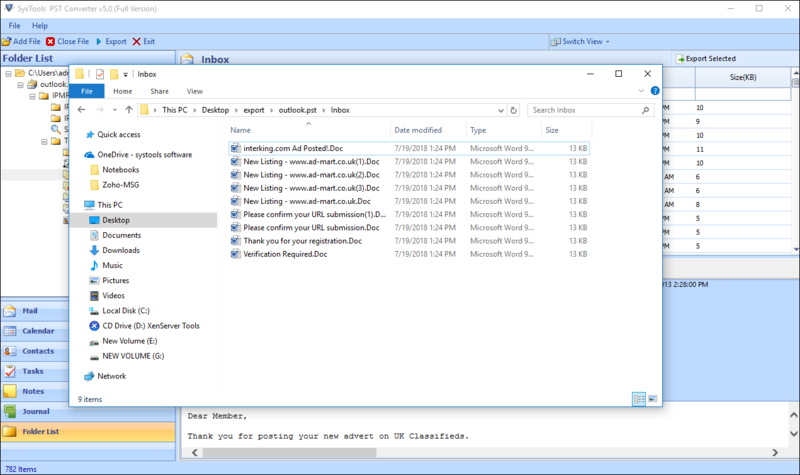 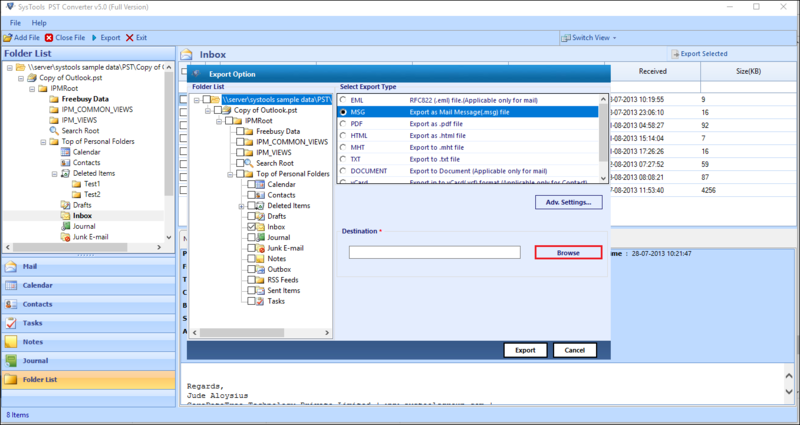 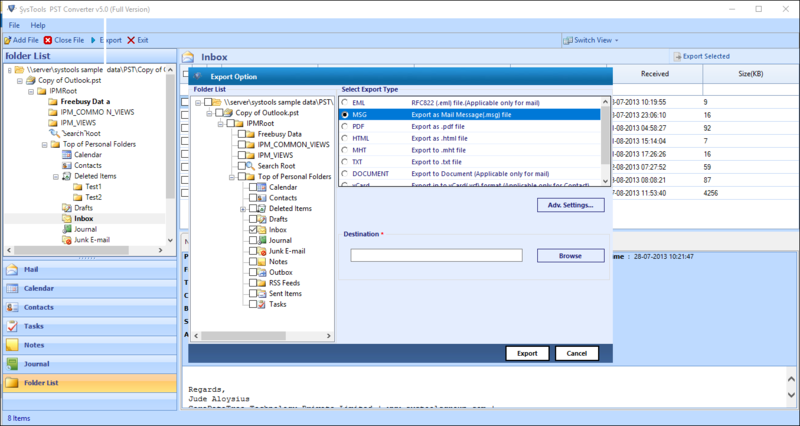 Maintain Folder Hierarchy: The folder structure of the MHT files is kept intact. Click on the "Browse" button to select the final destination for the exported MHT files. Click "Export" once the processing is done to export PST to MHT. 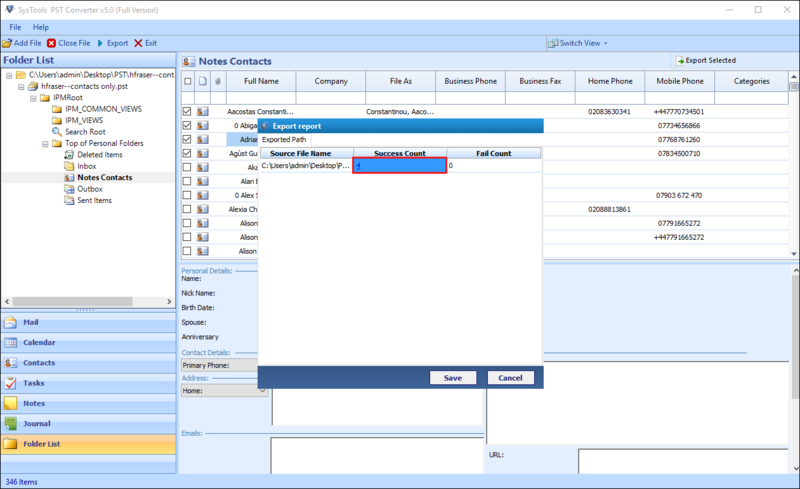 If you want to convert PST files in Text format then select the radio button corresponding to TXT label. 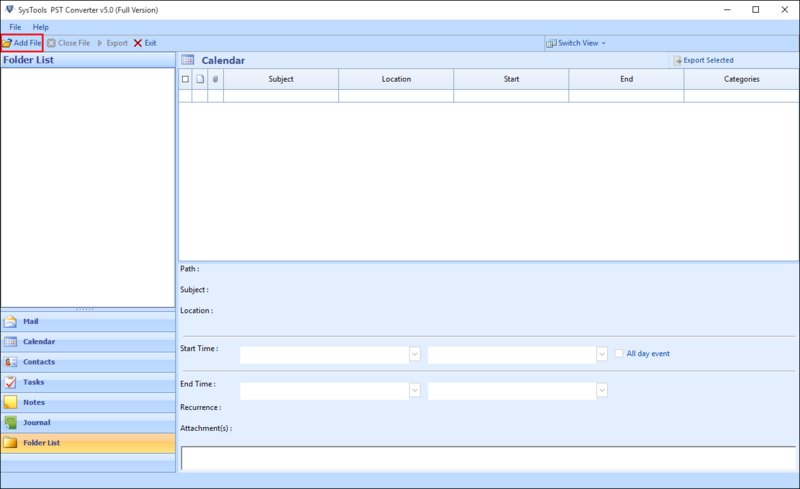 Date filter: This is the filter that can be used to filter out the final TXT files as per the date filter. 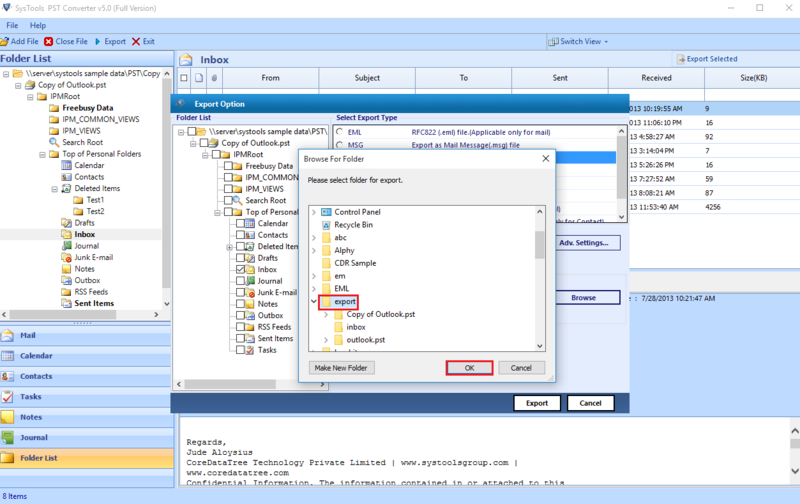 Maintain Folder Hierarchy: The folder structure of the TXT files is kept intact. Click on the "Browse" button to select the final destination for the exported TXT files. 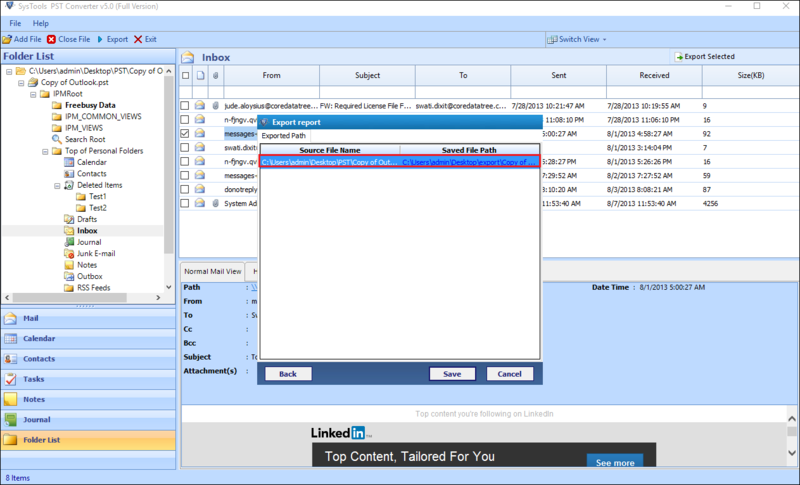 Click "Export" once the processing is done to export PST to Text. 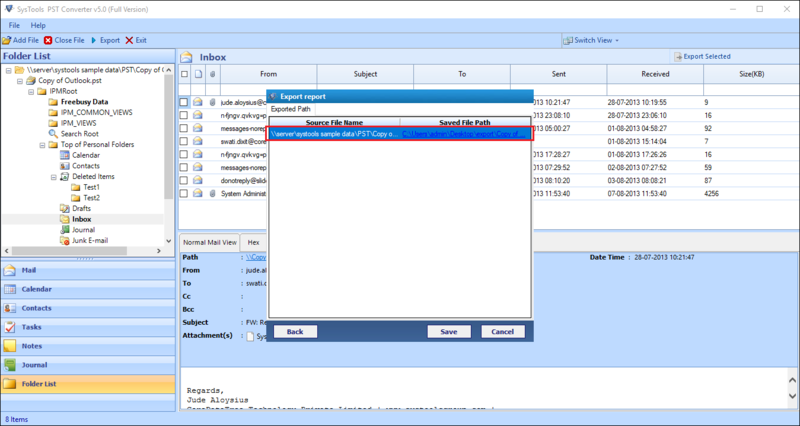 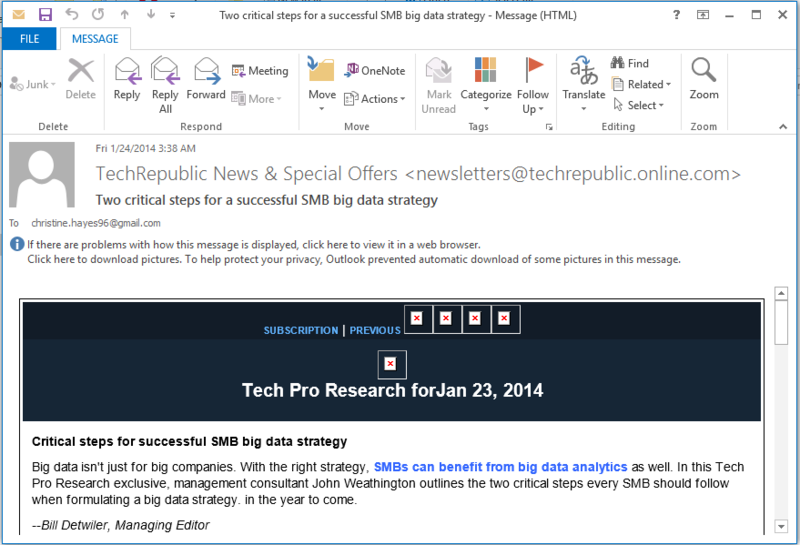 Click on the "individual mail" to open the mail with any Text Editor Like Notepad. 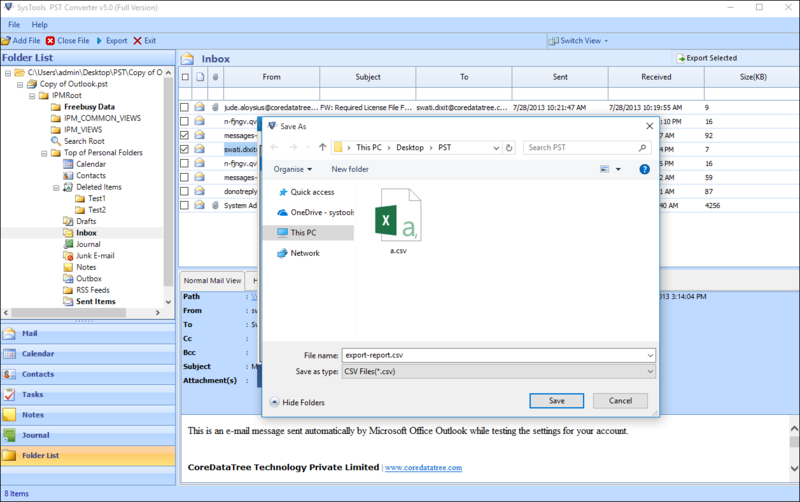 If you want to convert PST files in Docx format then select the radio button corresponding to Docx label. 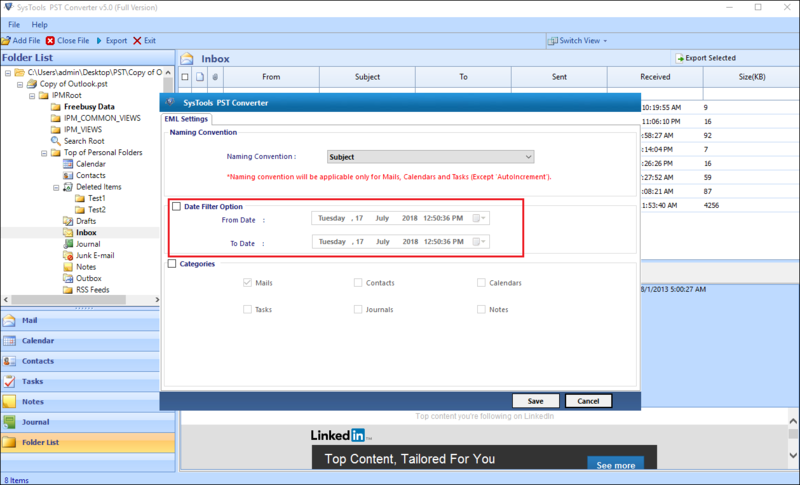 Date filter: This is the filter that can be used to filter out the final DOCX files as per the date filter. 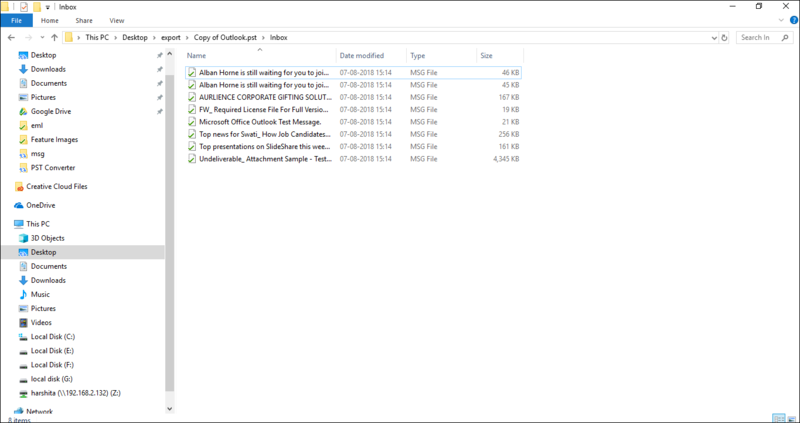 Maintain Folder Hierarchy: The folder structure of the DOCX files is kept intact. 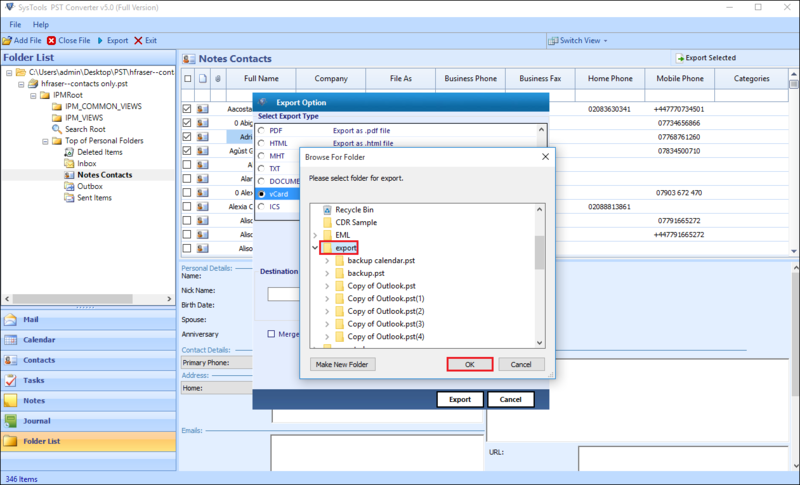 Click on the "Browse" button to select the final destination for the exported DOCX files. 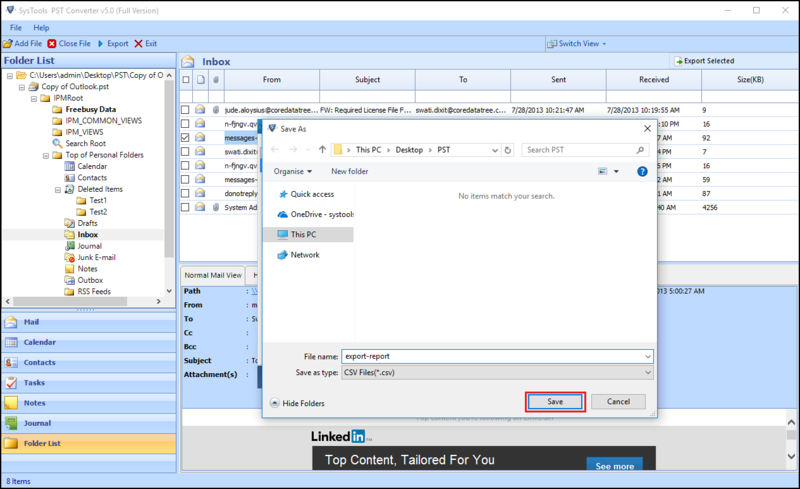 Click "Export" once the processing is done to export PST to DOCX. 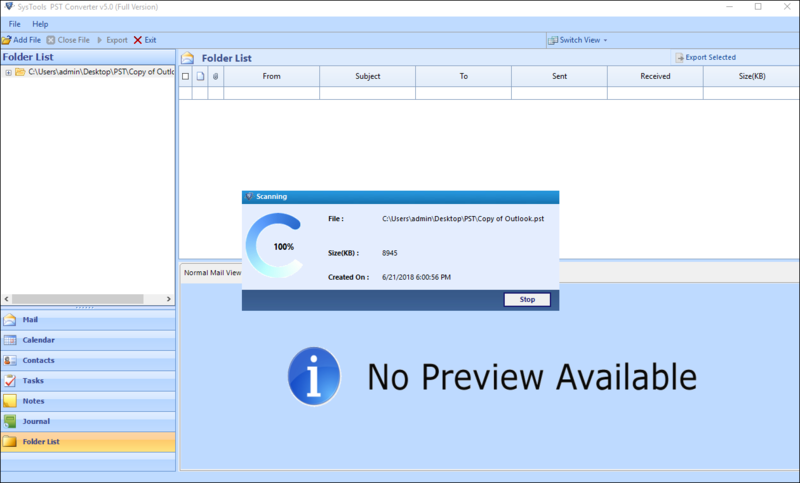 If you want to convert PST files in Doc format then select the radio button corresponding to Doc label. Date filter: This is the filter that can be used to filter out the final DOC files as per the date filter. 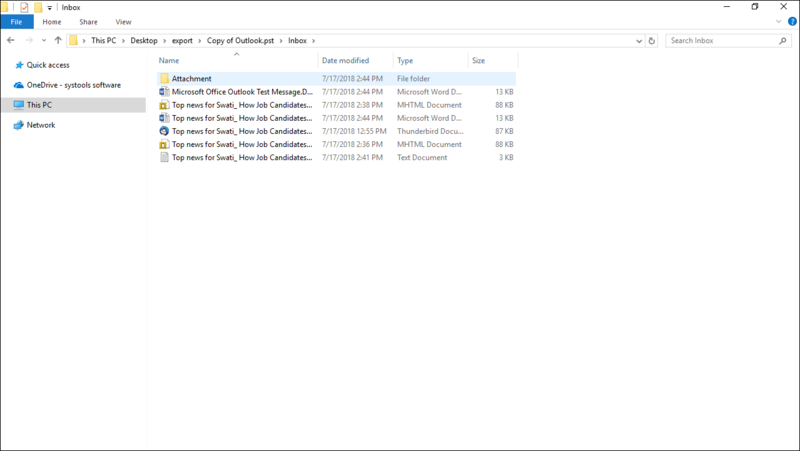 Maintain Folder Hierarchy: The folder structure of the DOC files is kept intact. Click on the "Browse" button to select the final destination for the exported DOC files. 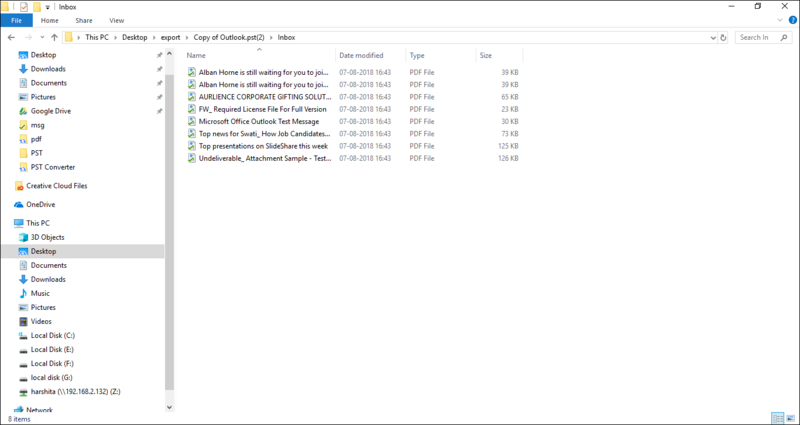 Click "Export" once the processing is done to export PST to DOC. 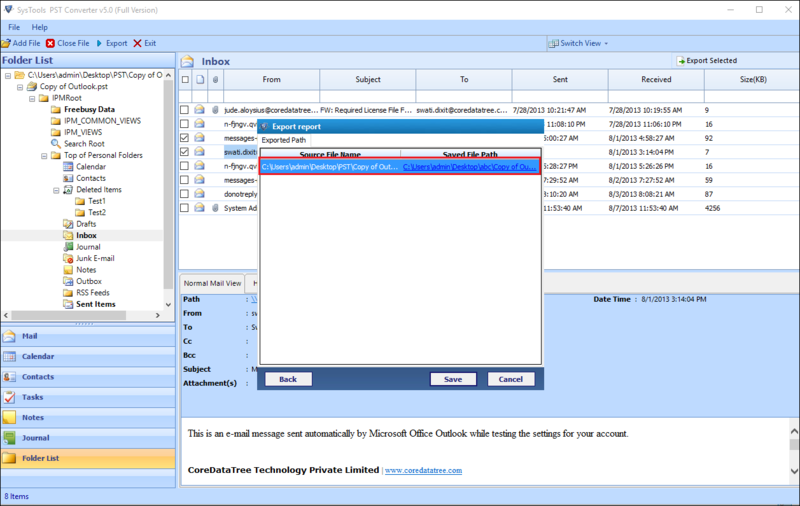 If you want to convert PST files in RTF format then select the radio button corresponding to RTF label. 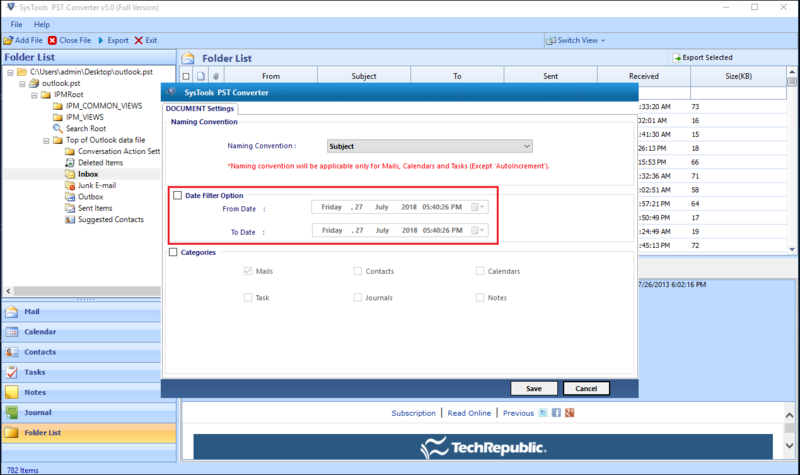 Date filter: This is the filter that can be used to filter out the final RTF files as per the date filter. 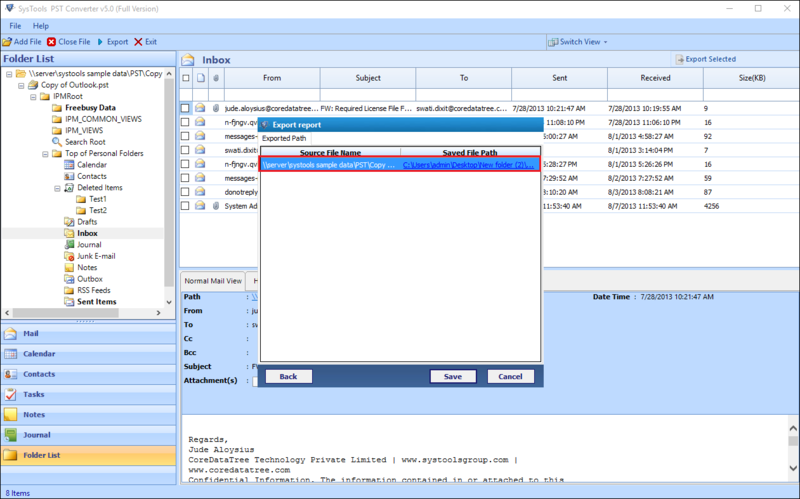 Maintain Folder Hierarchy: The folder structure of the RTF files is kept intact. 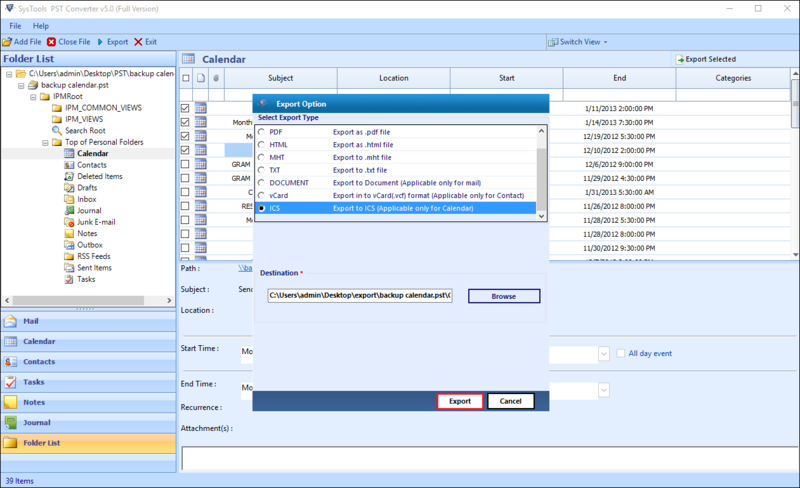 Click on the "Browse" button to select the final destination for the exported RTF files. 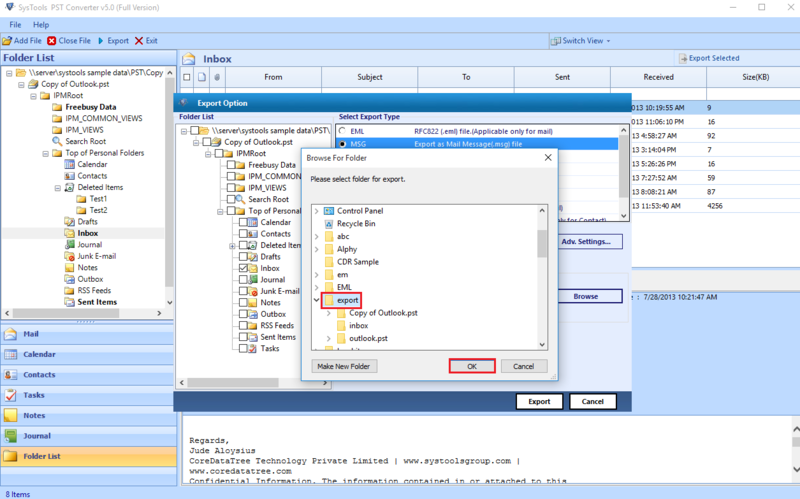 Click "Export" once the processing is done to export PST to RTF. 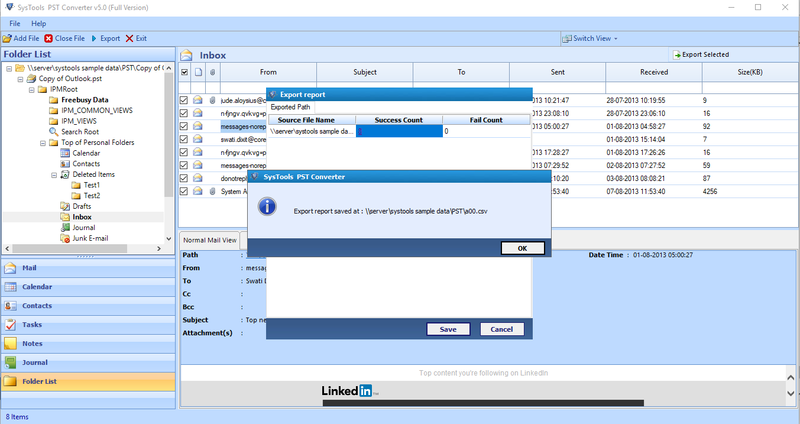 Now, Select VCF radio button to export PST files contacts into VCF format. 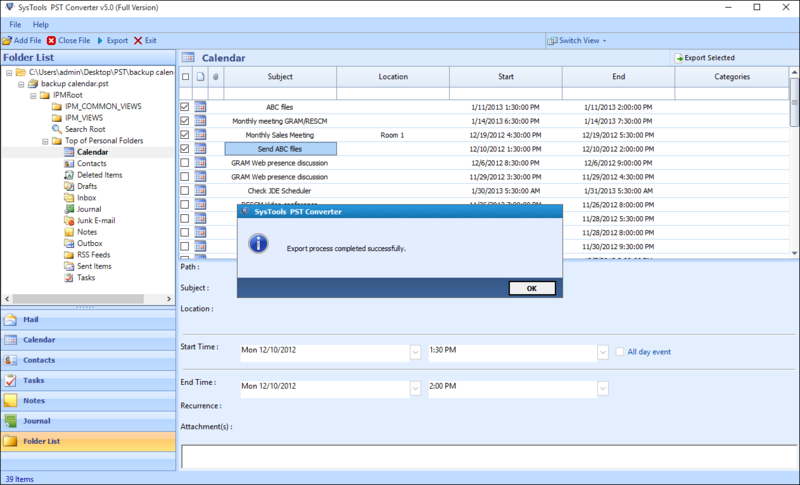 Click on the "Browse" button to select the final destination for the exported VCF files. 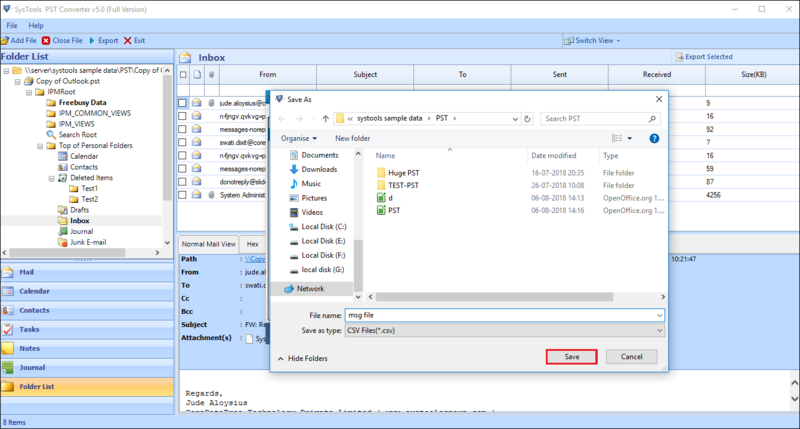 Navigate and select the location for the exported VCF files. 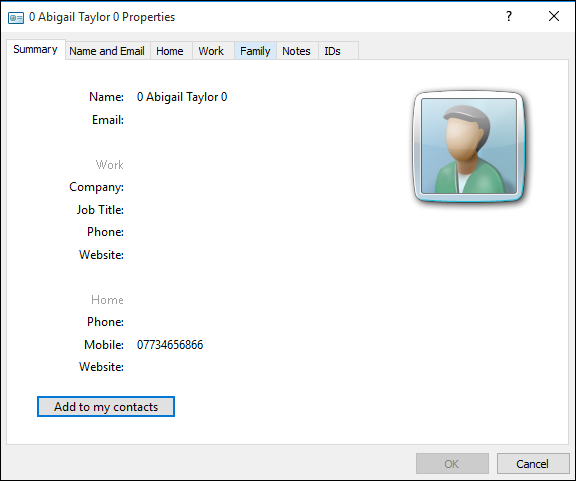 Click on the "individual contact" to open it. 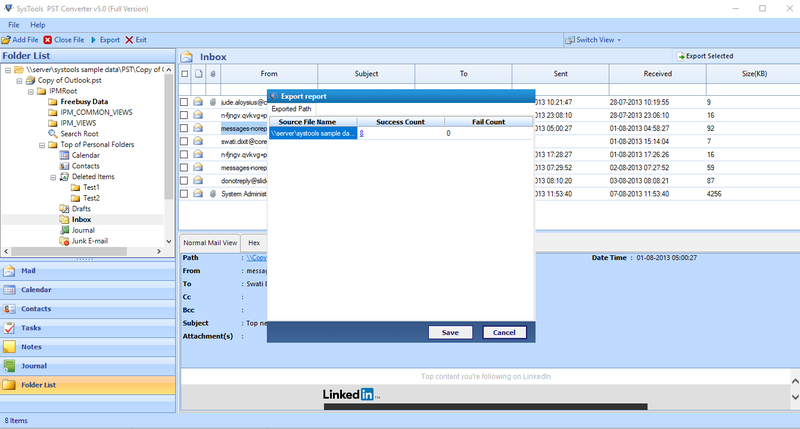 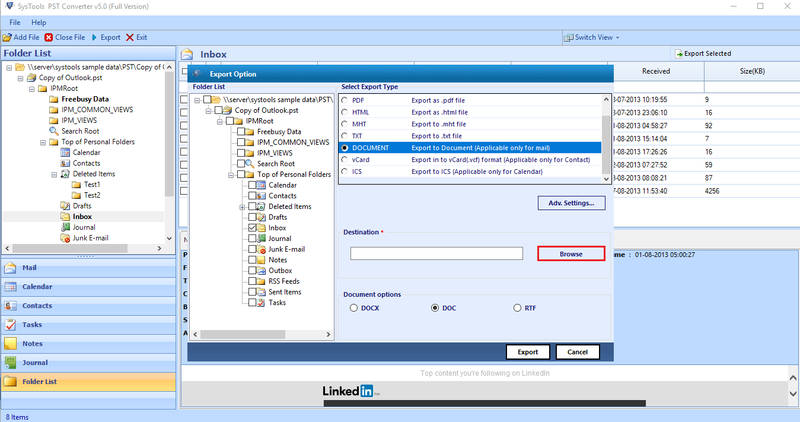 Now, Select ICS radio button to export PST files contacts into ICS format. Click on the "Browse" button to select the final destination for the exported ICS files. 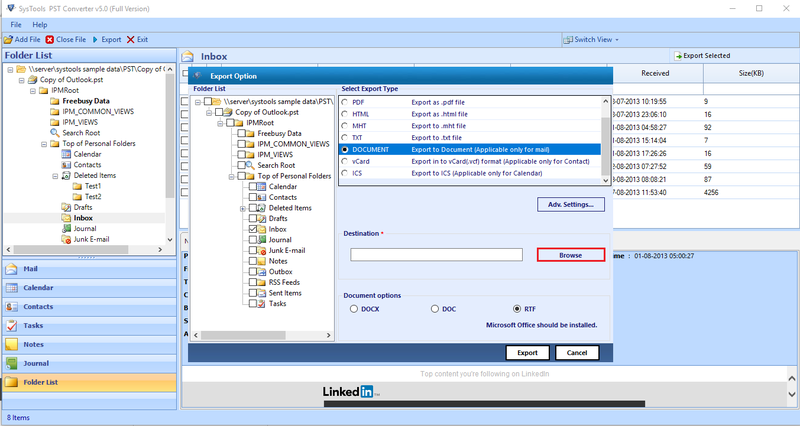 Navigate and select the location for the exported ICS files.